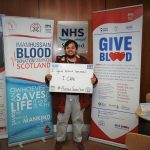 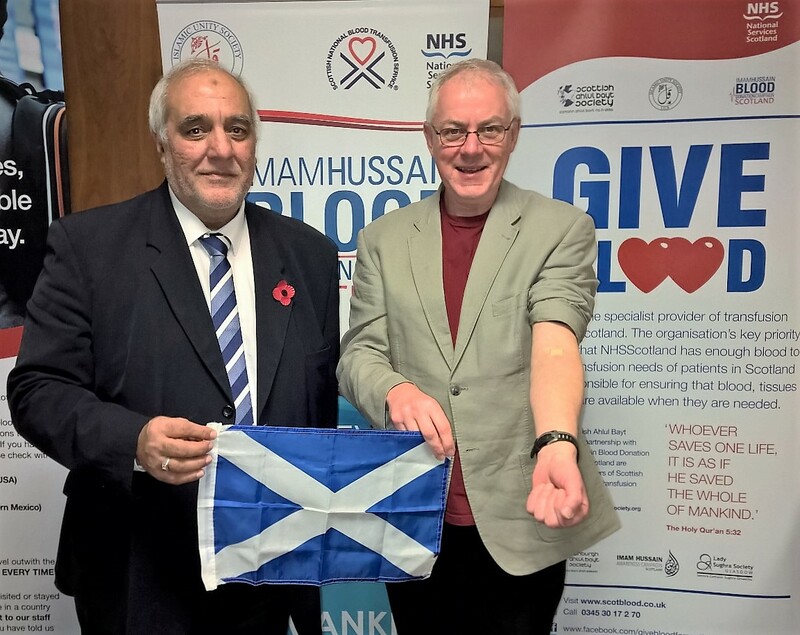 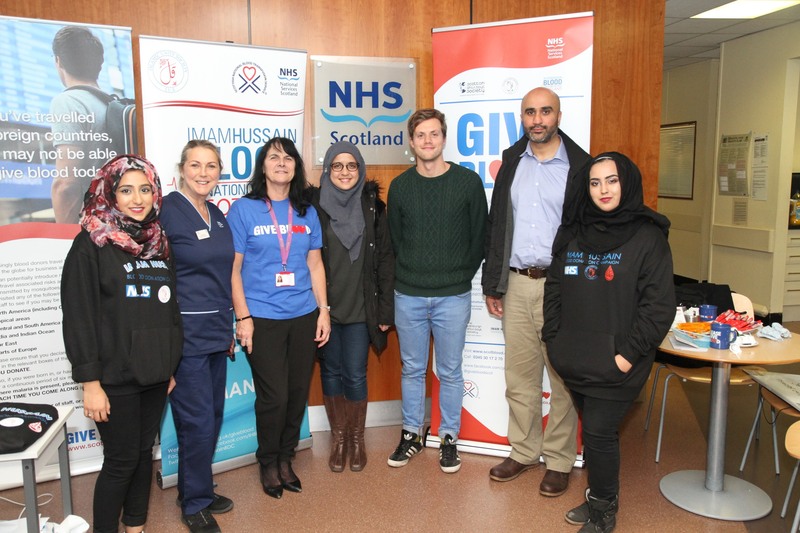 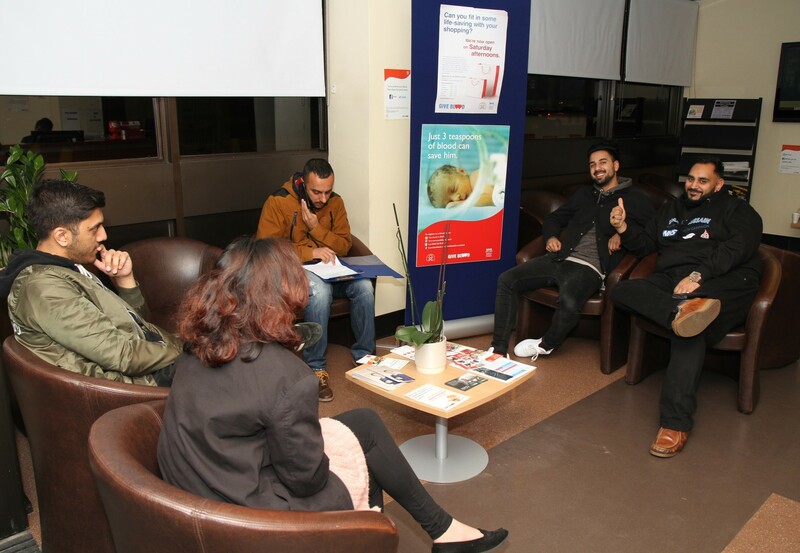 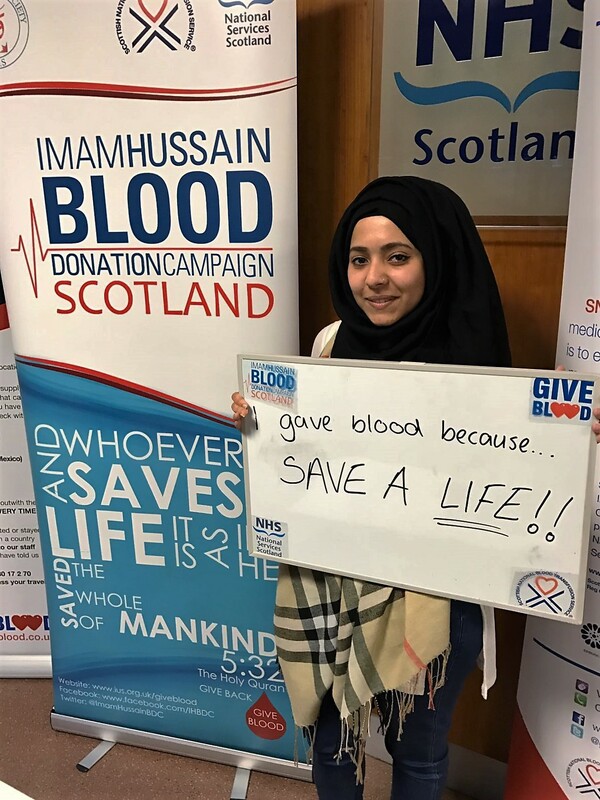 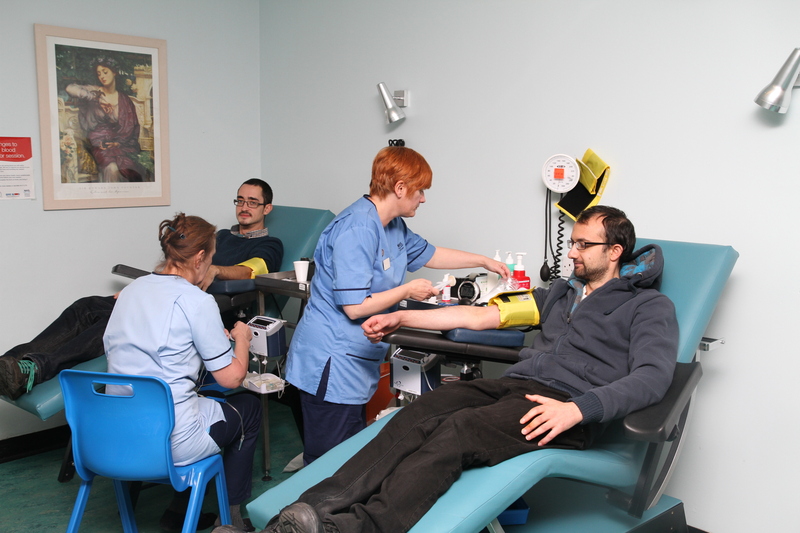 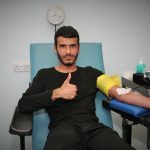 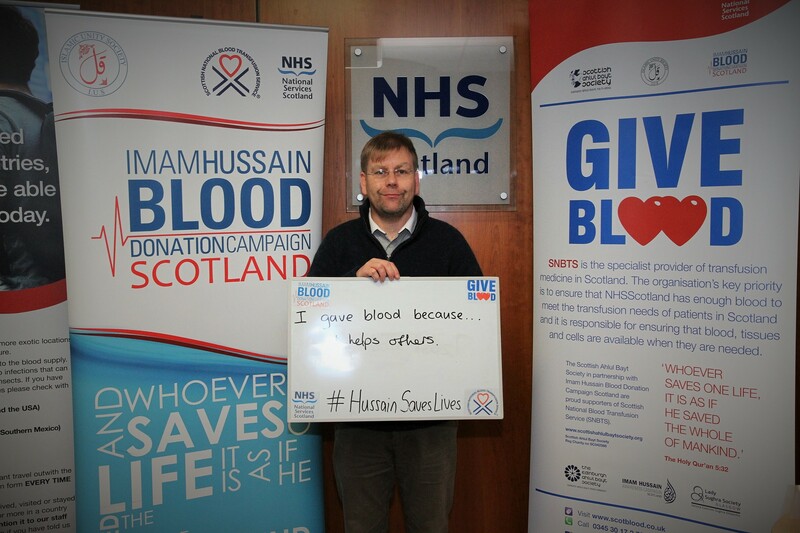 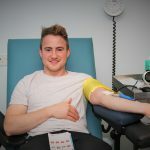 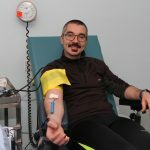 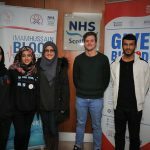 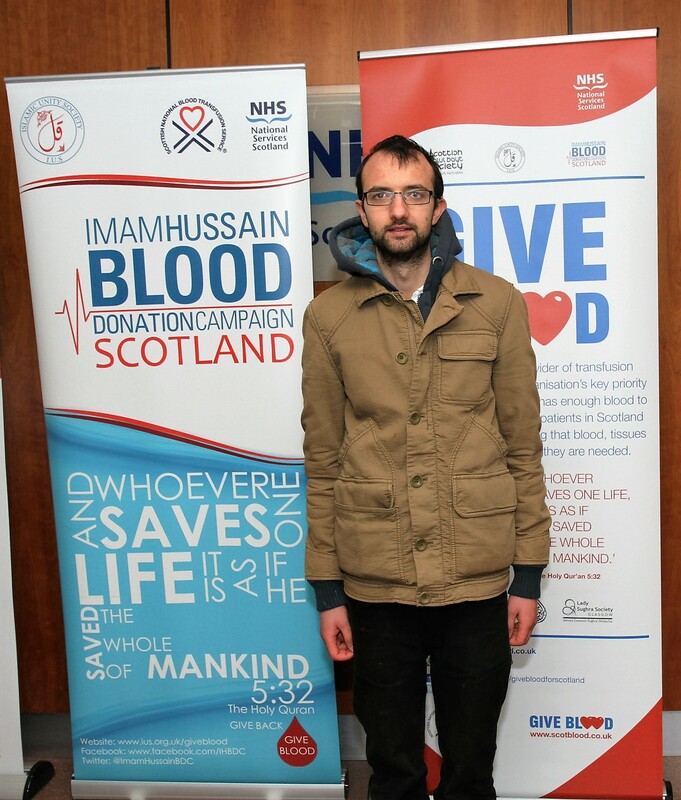 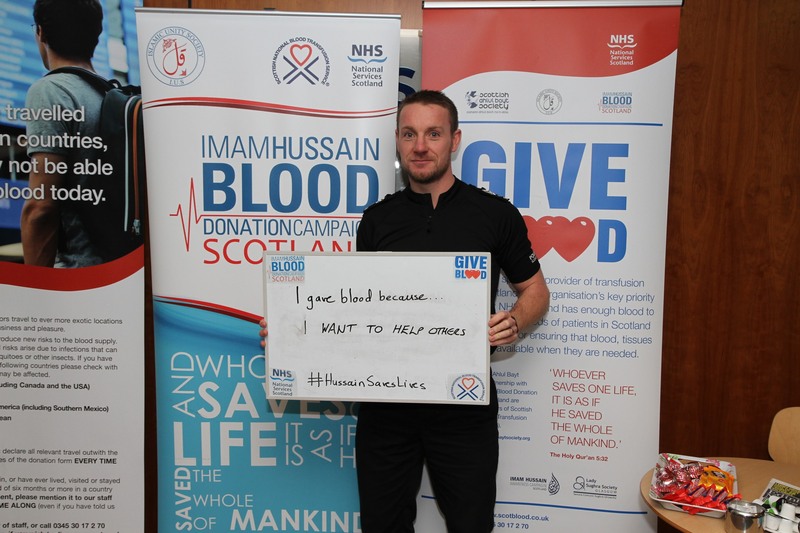 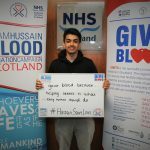 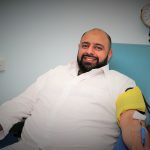 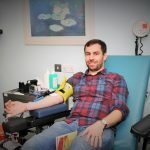 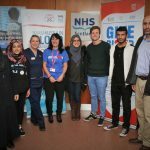 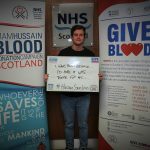 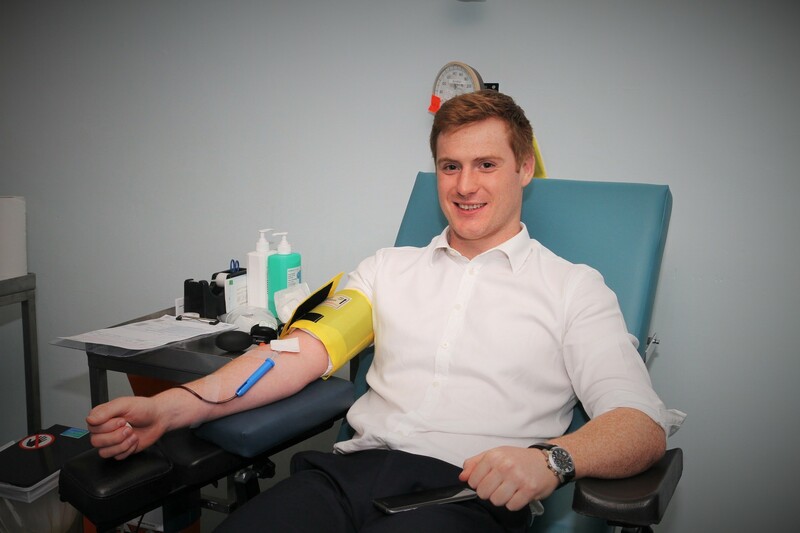 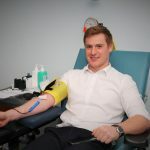 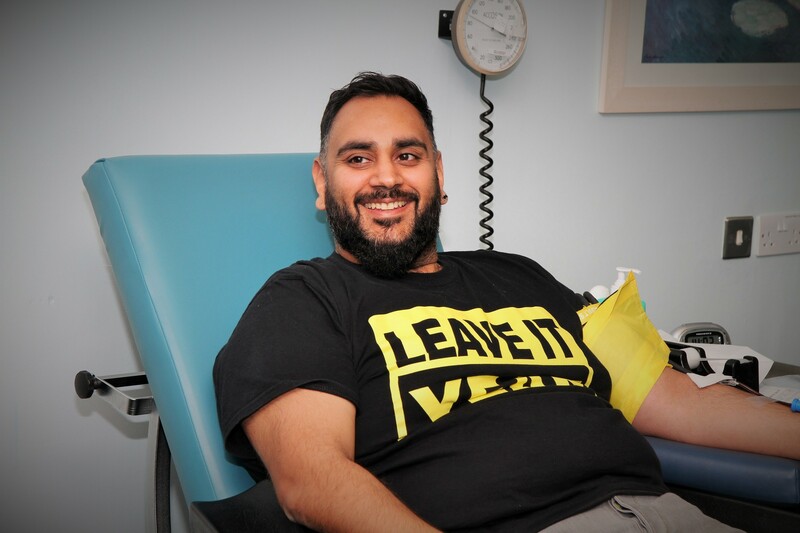 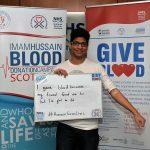 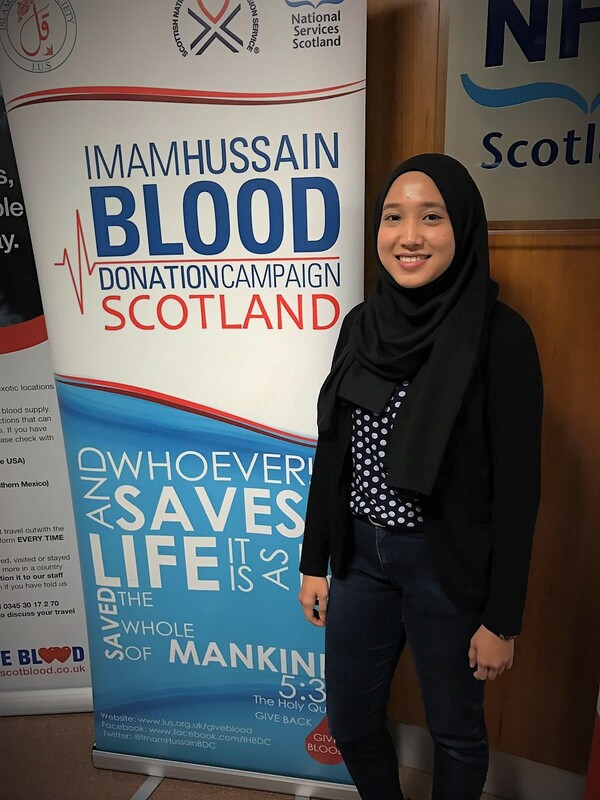 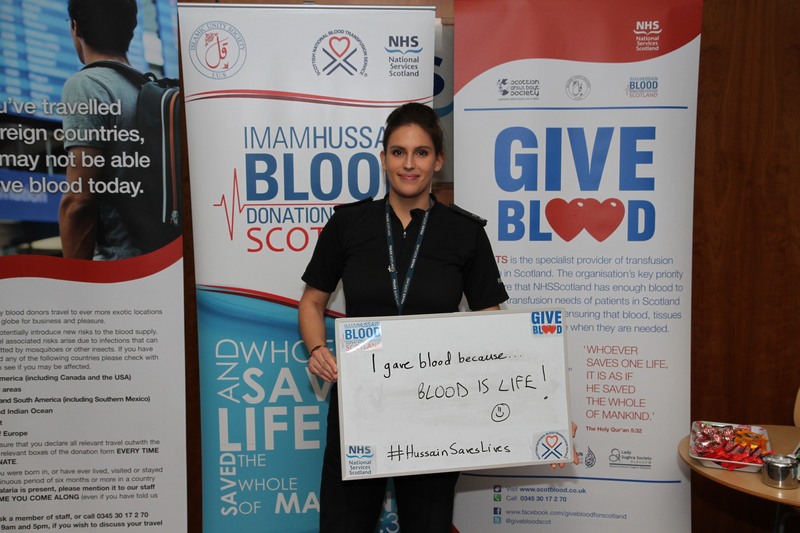 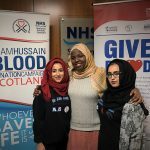 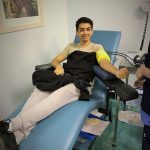 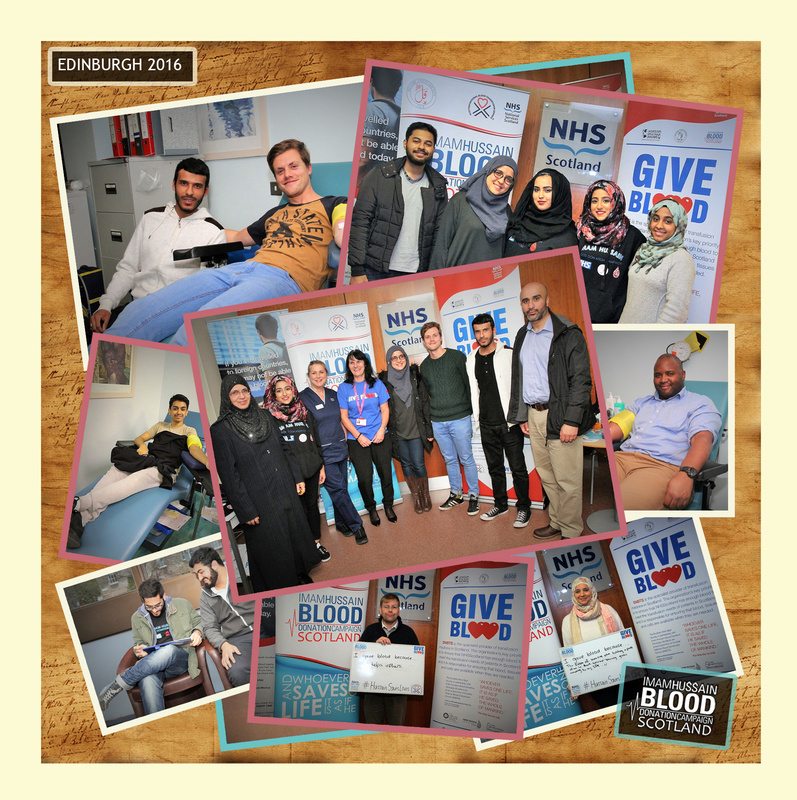 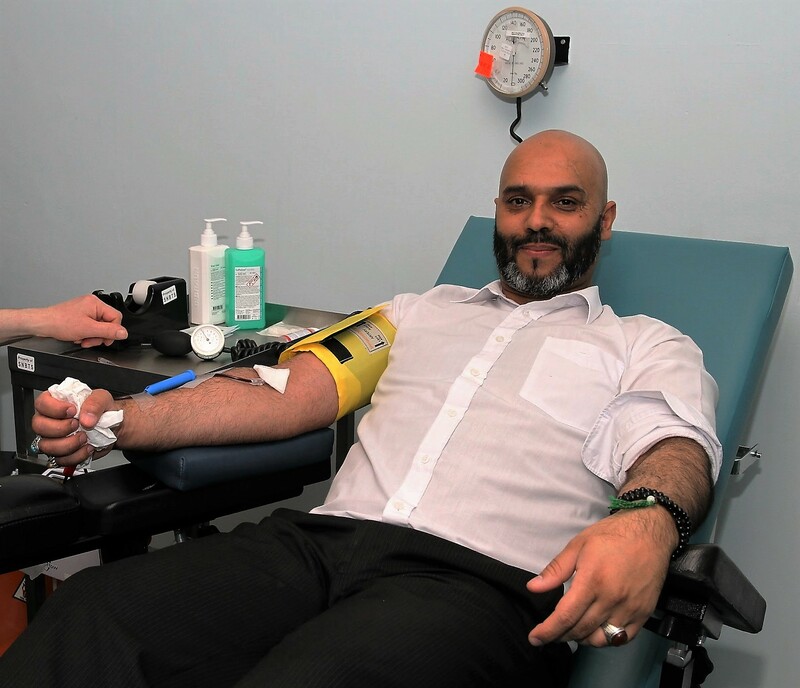 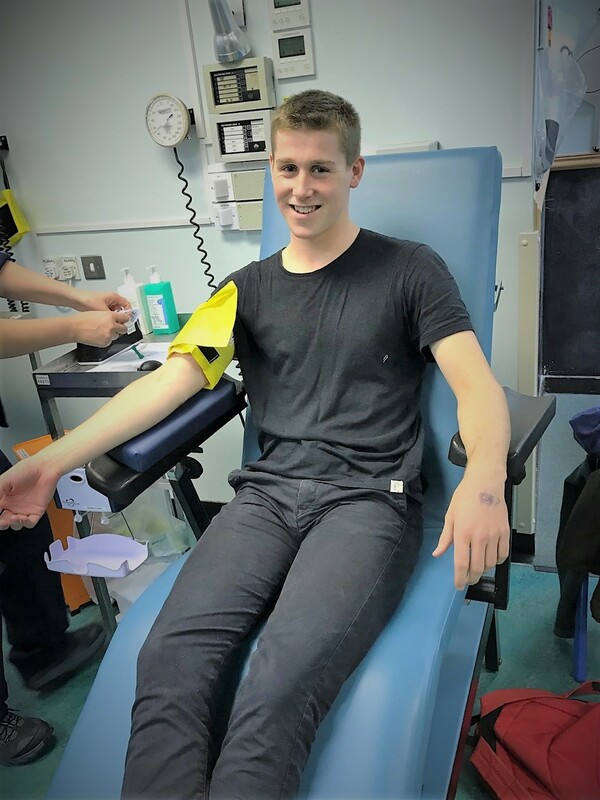 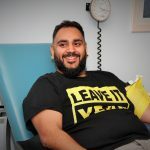 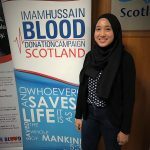 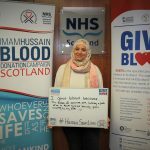 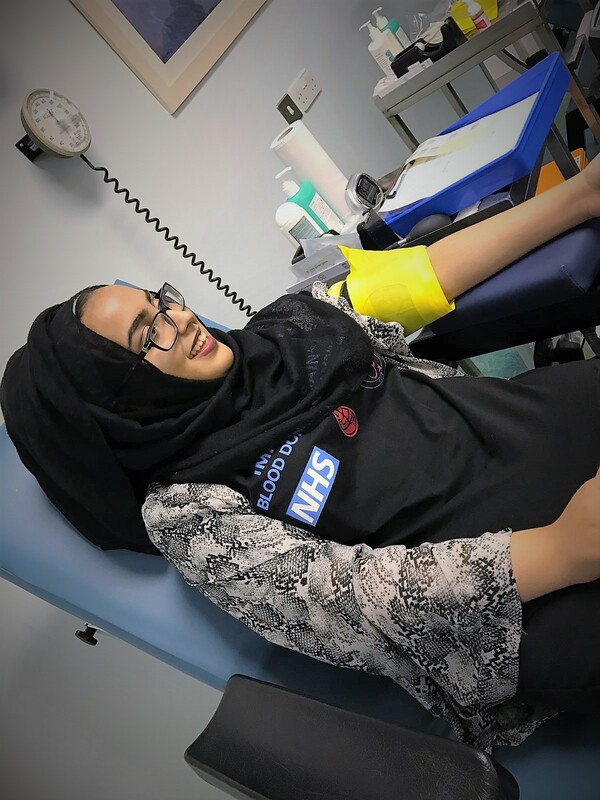 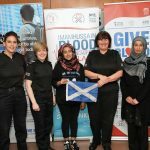 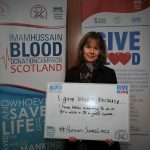 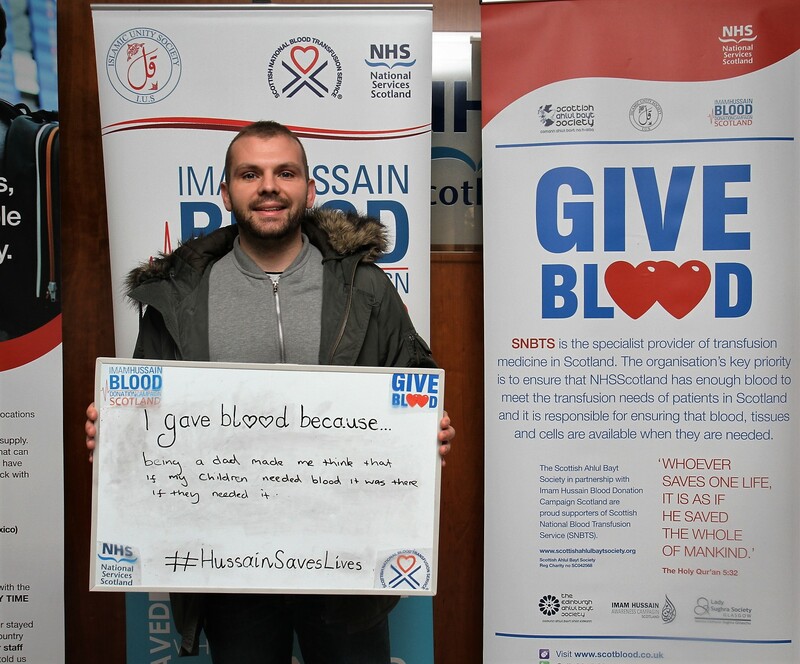 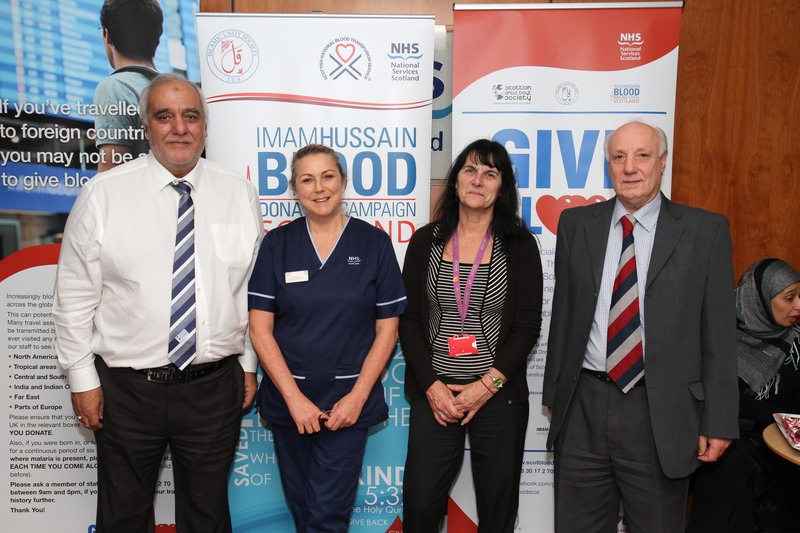 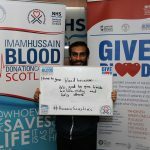 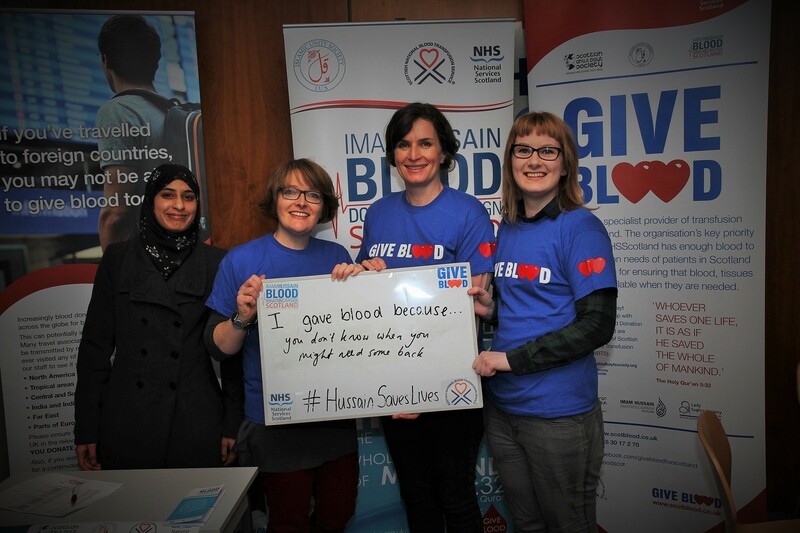 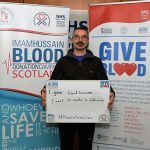 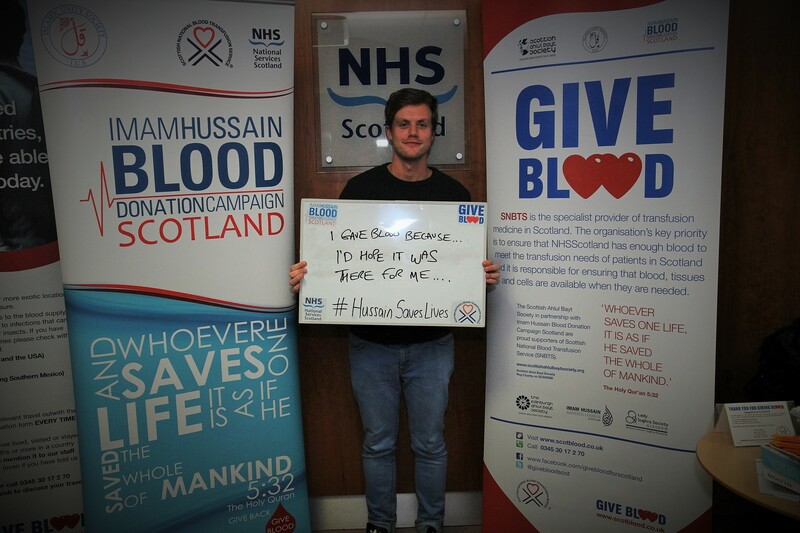 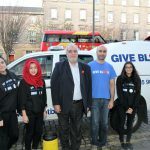 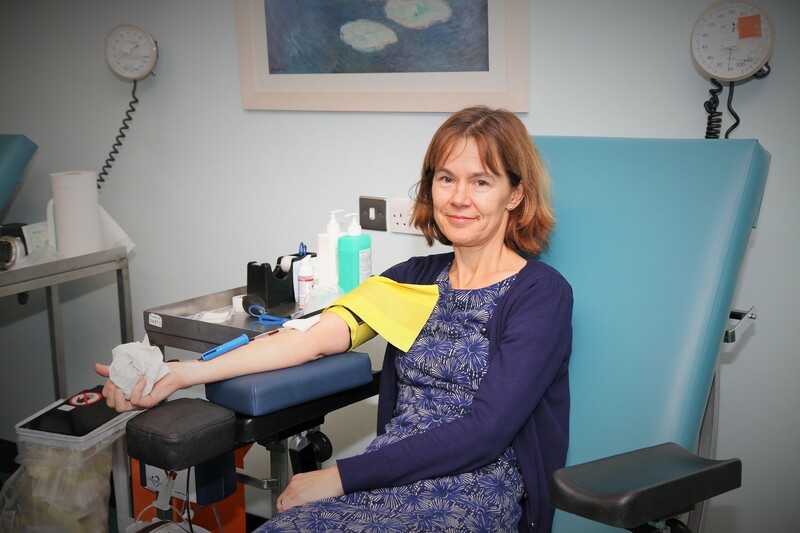 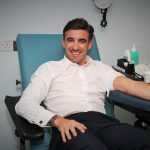 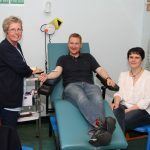 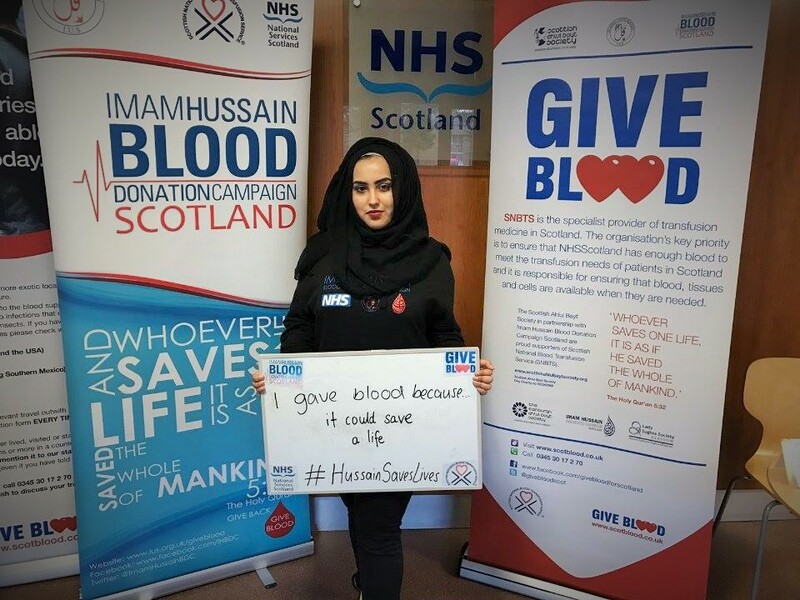 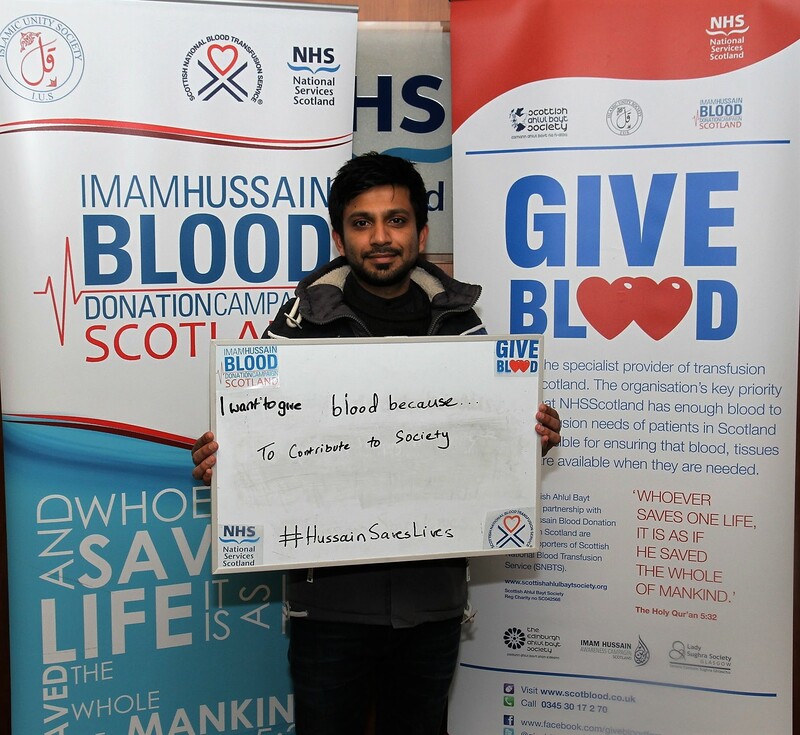 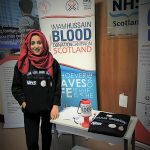 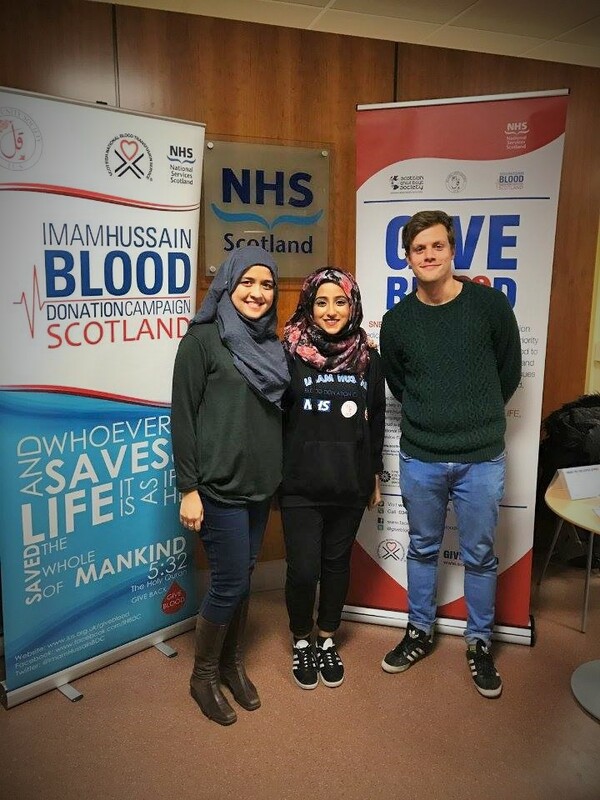 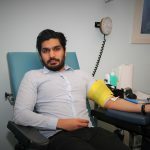 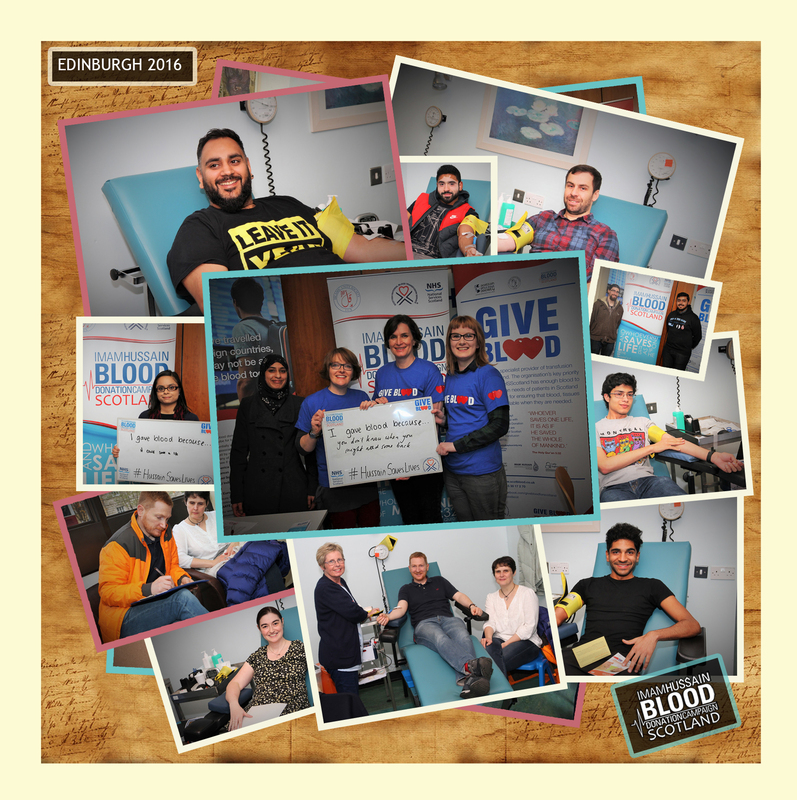 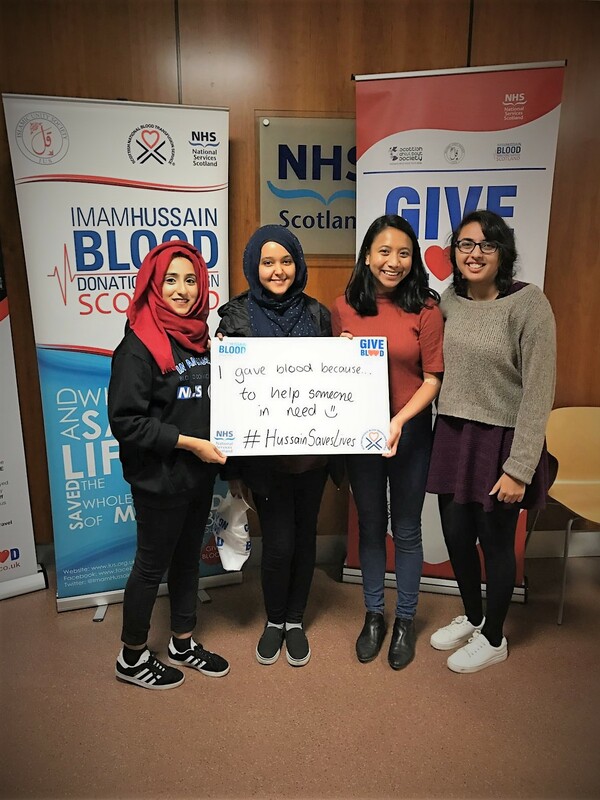 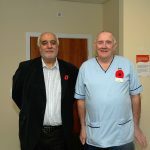 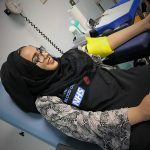 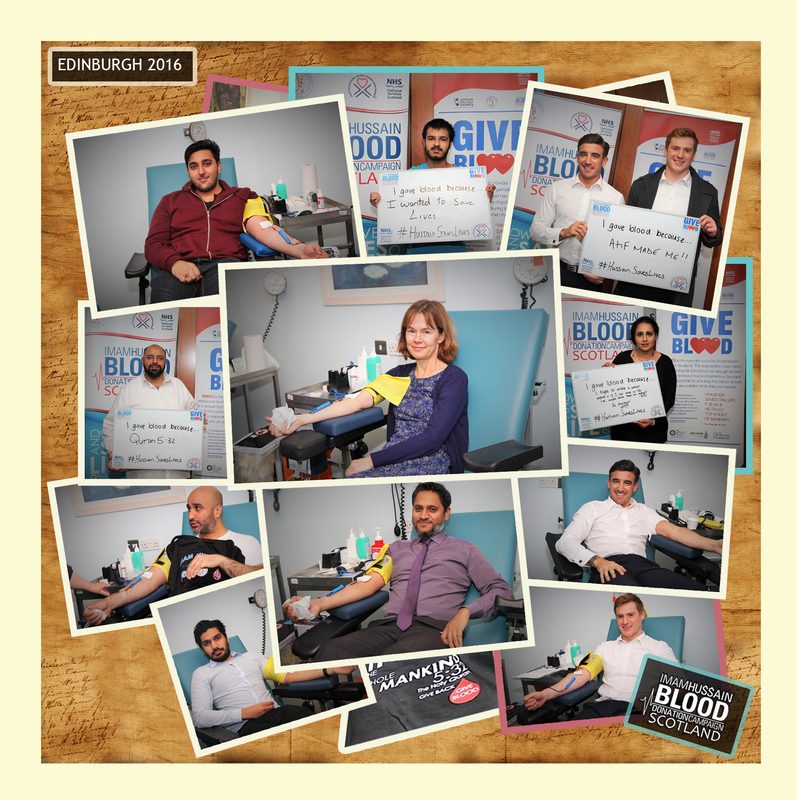 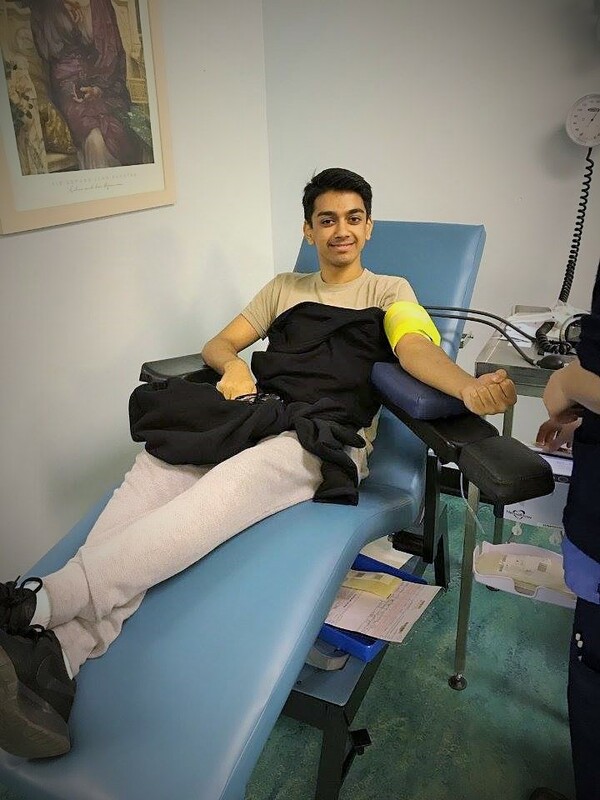 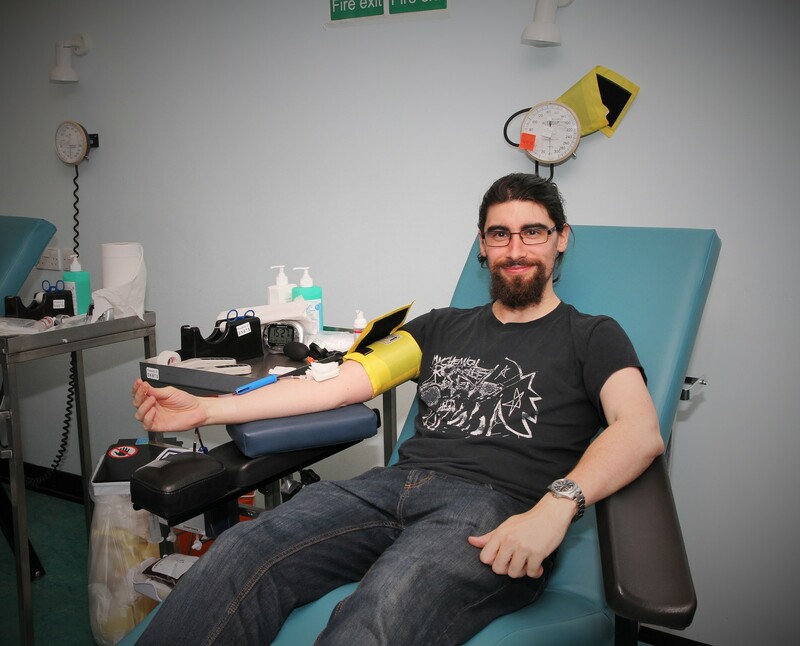 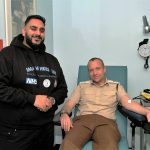 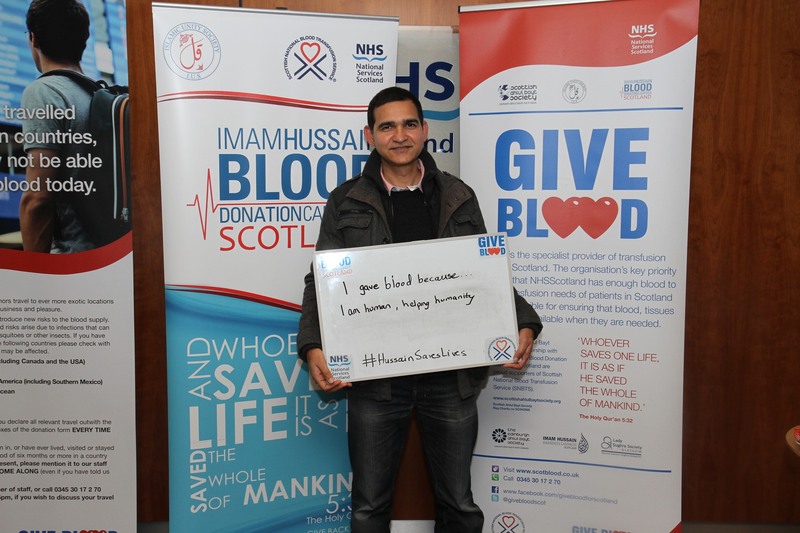 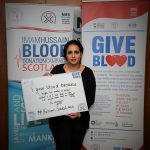 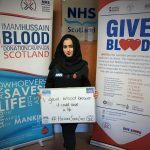 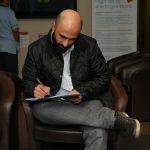 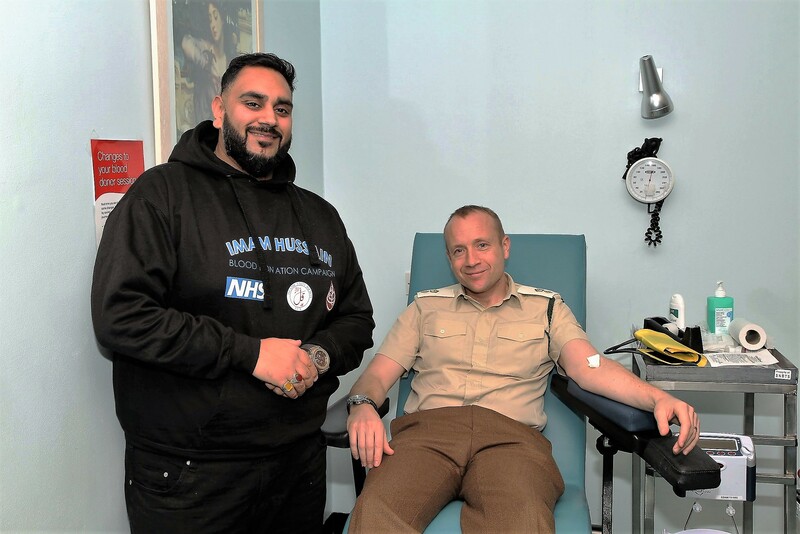 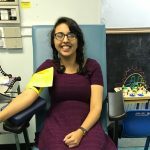 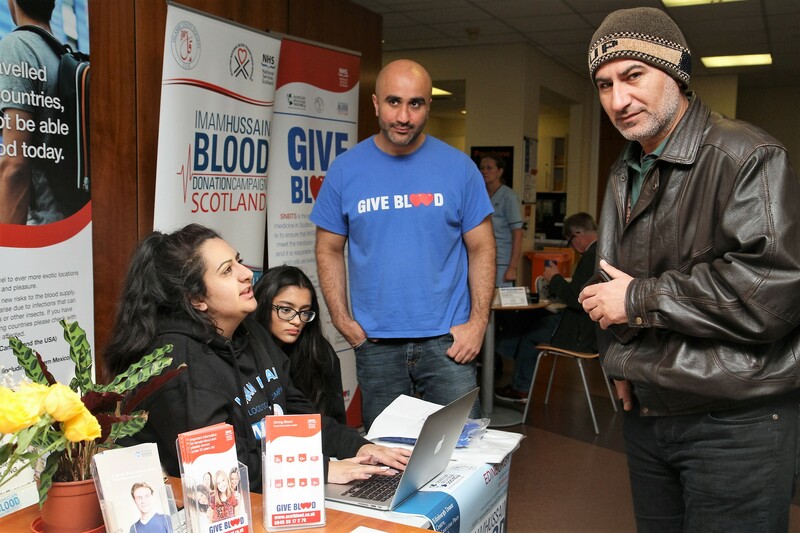 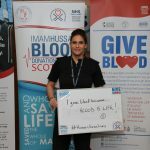 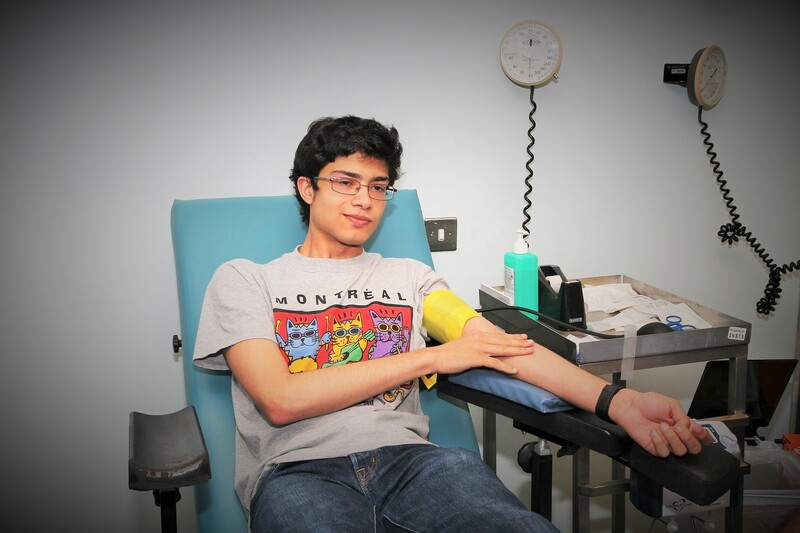 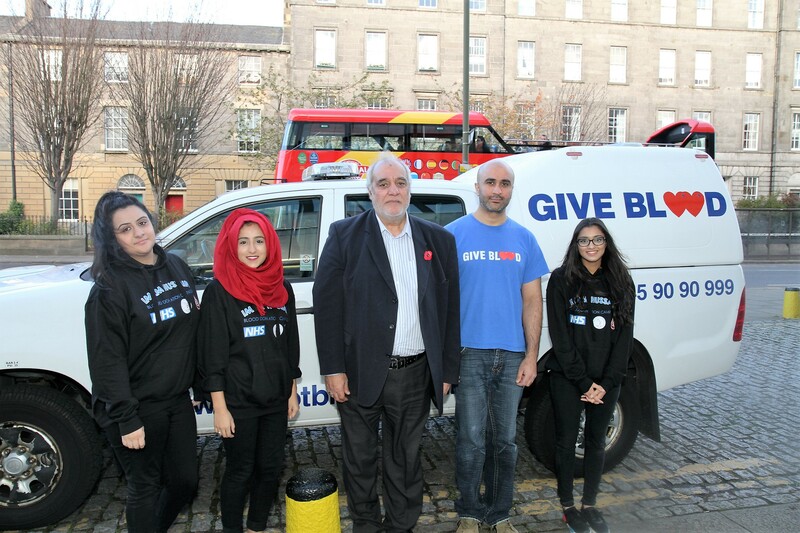 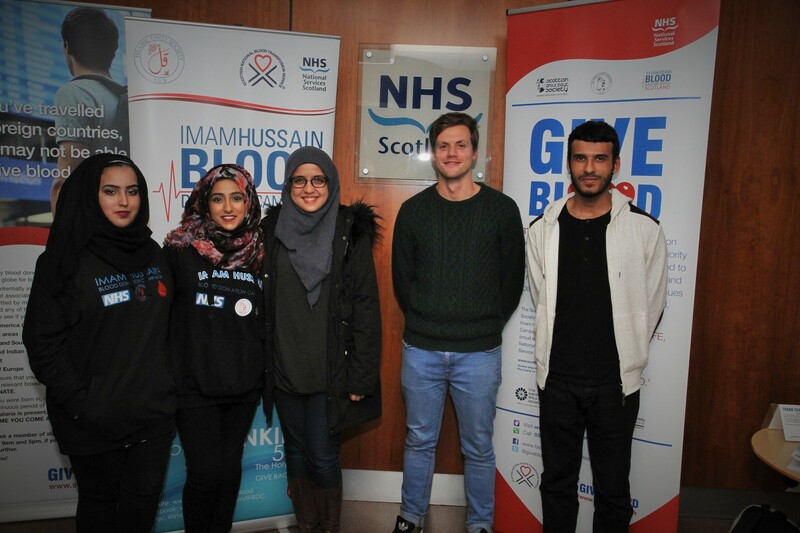 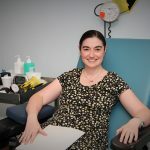 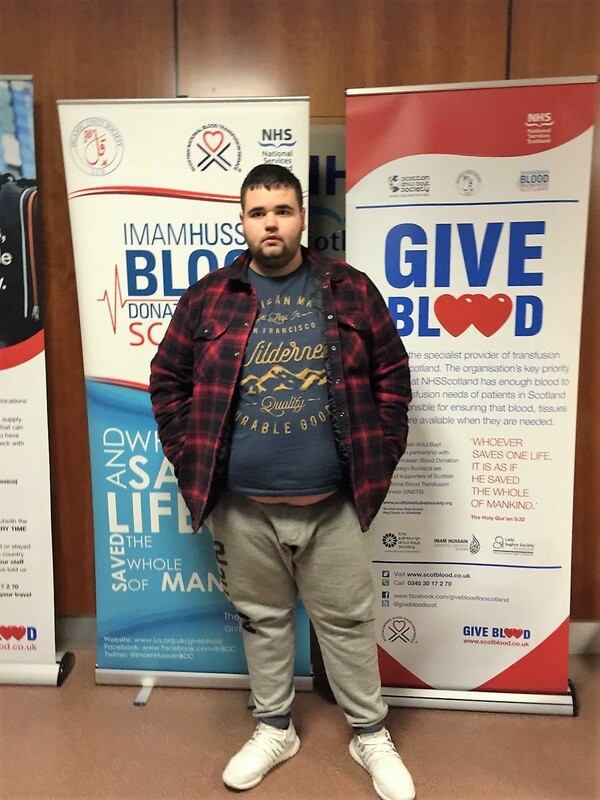 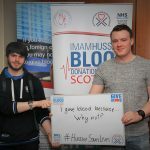 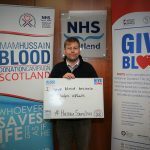 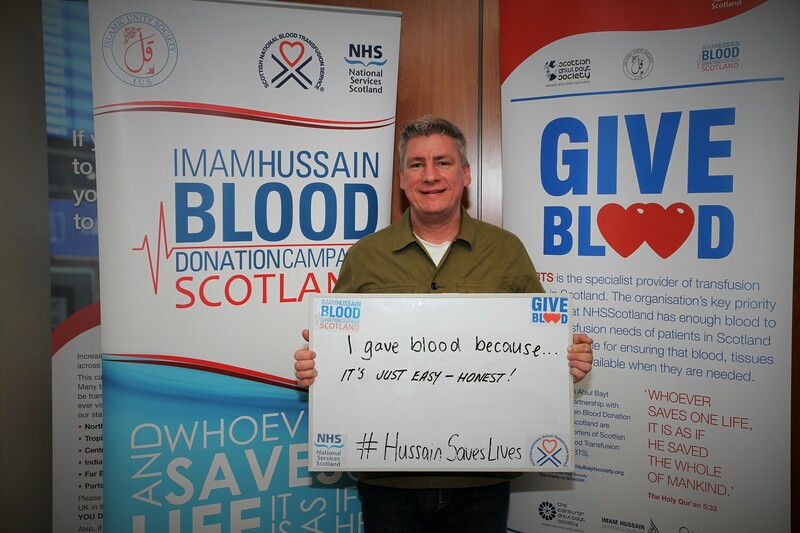 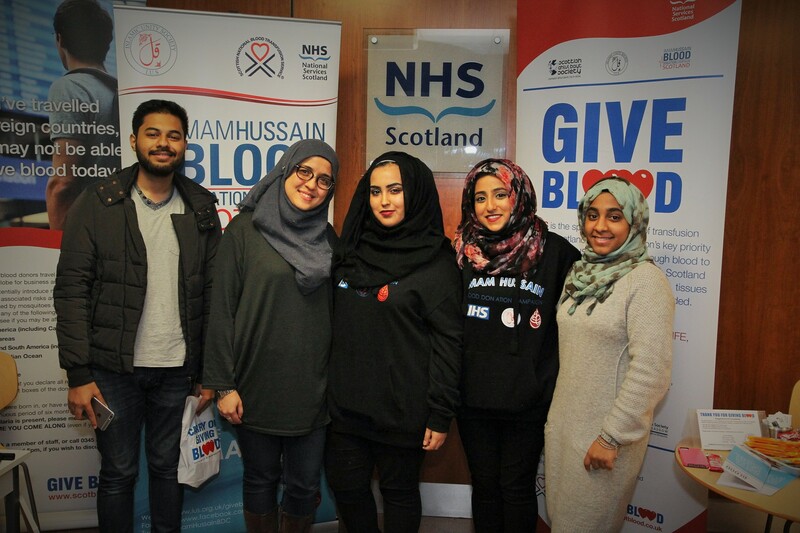 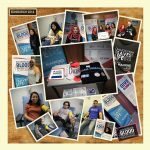 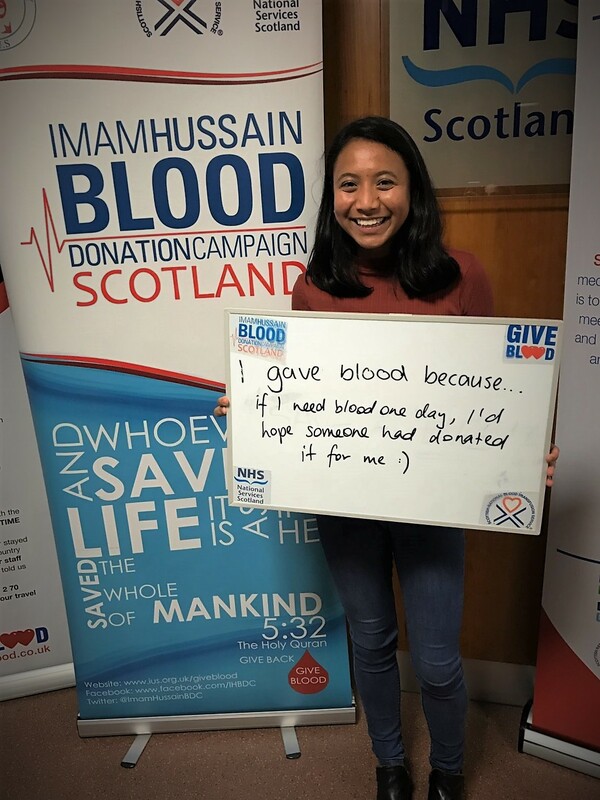 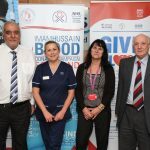 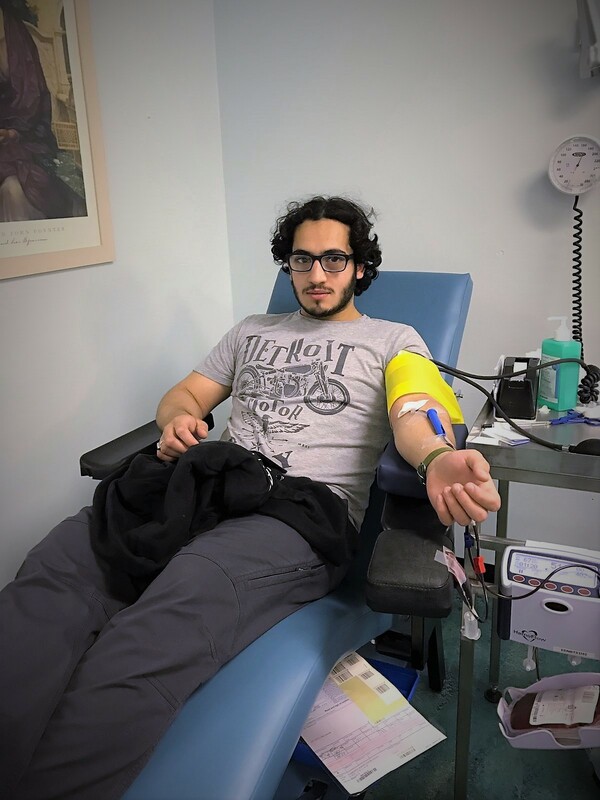 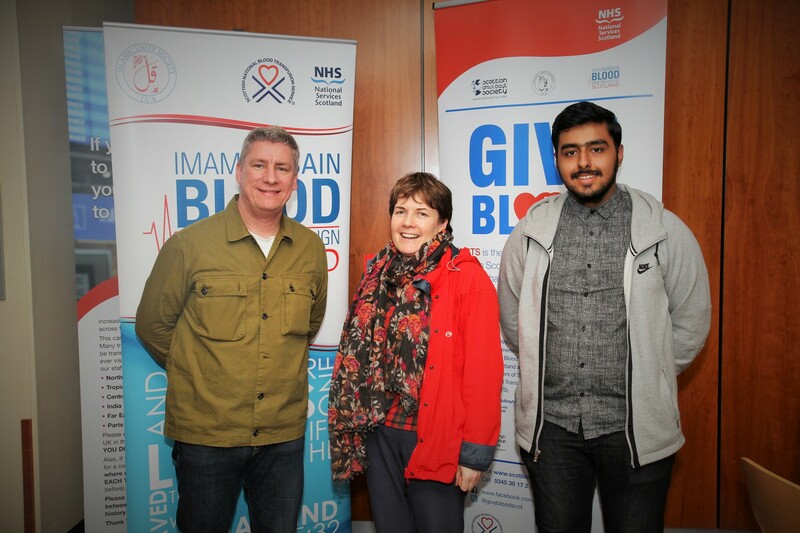 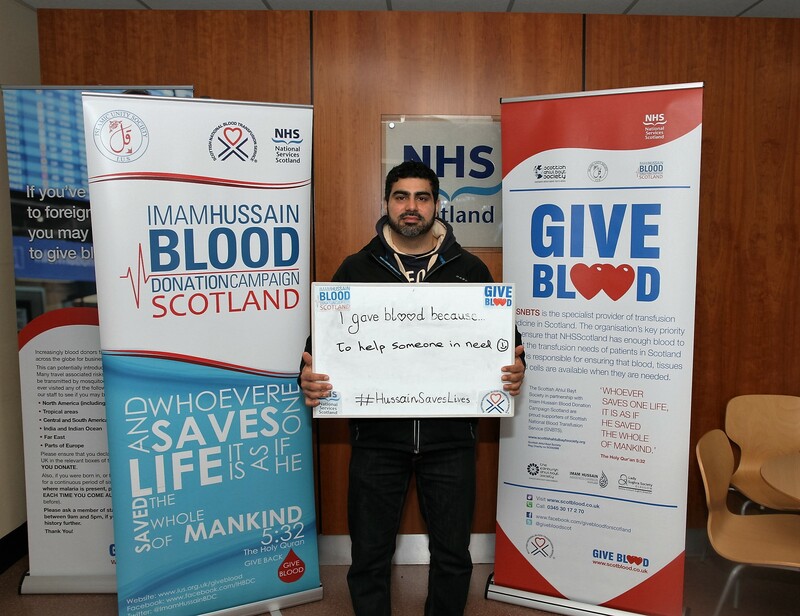 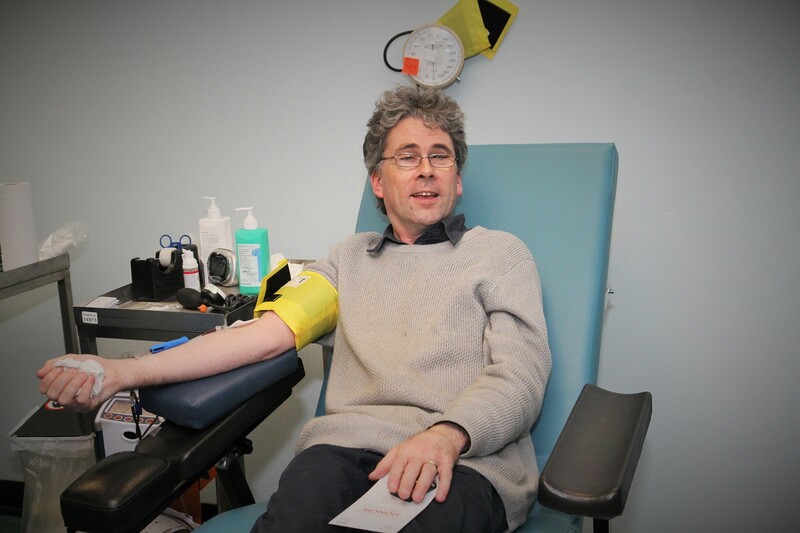 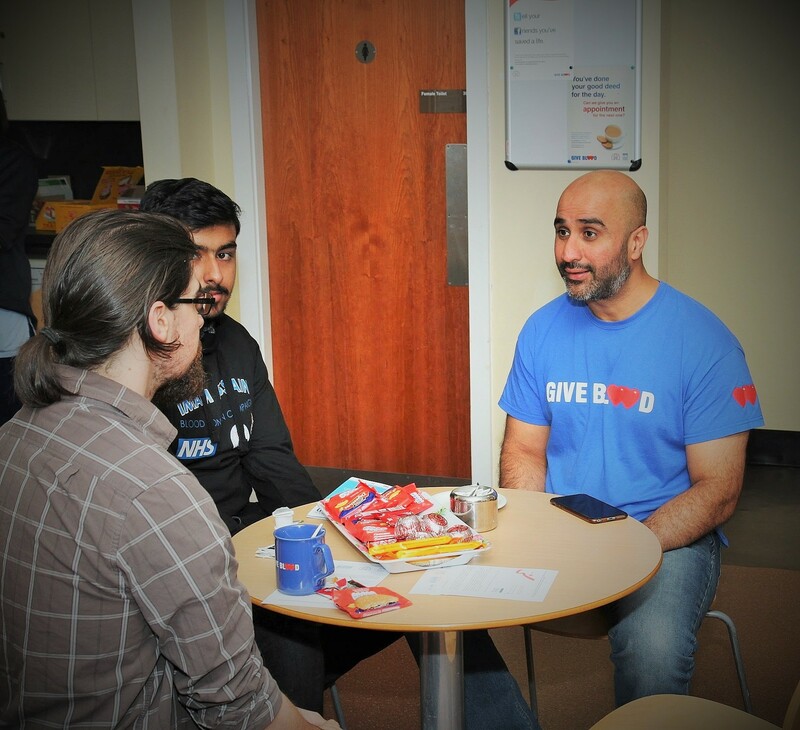 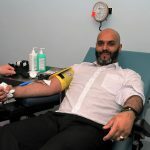 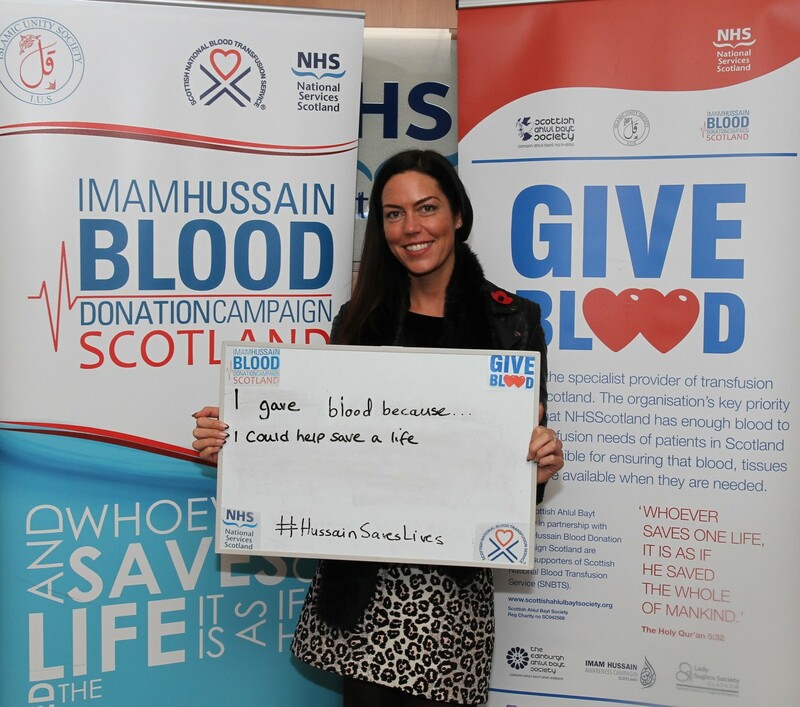 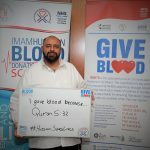 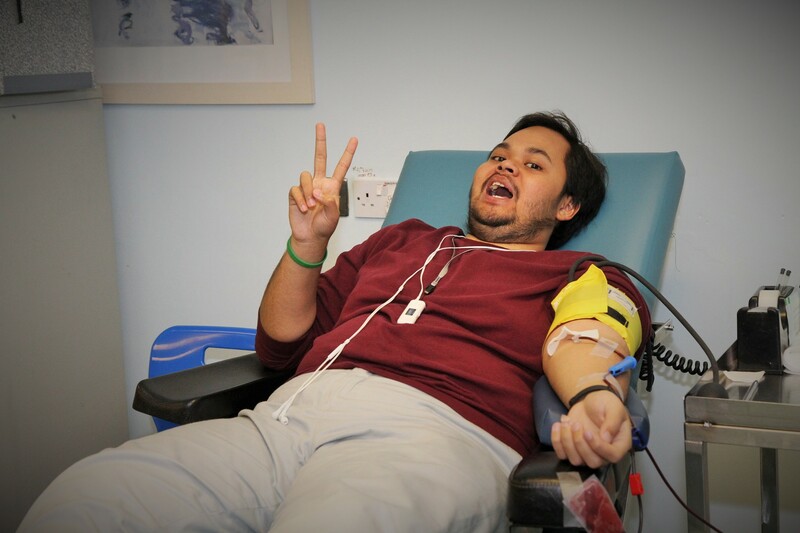 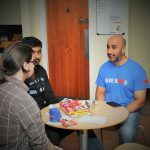 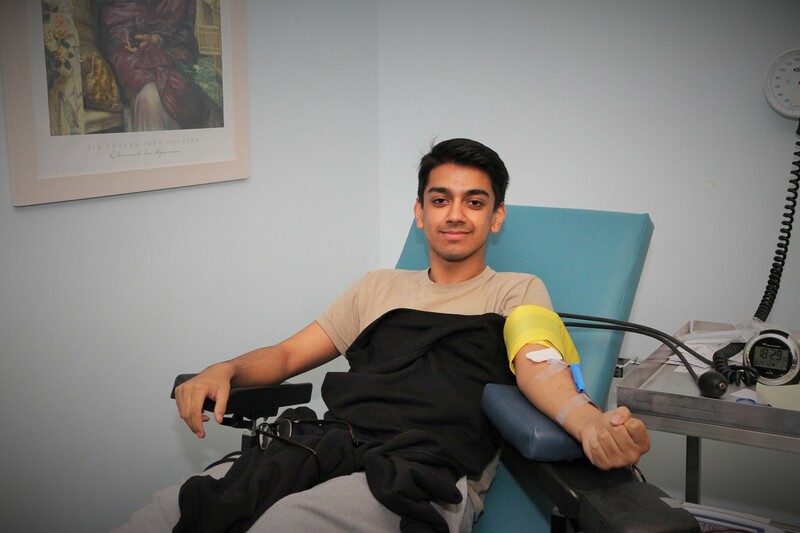 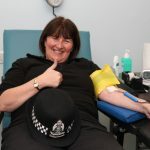 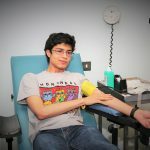 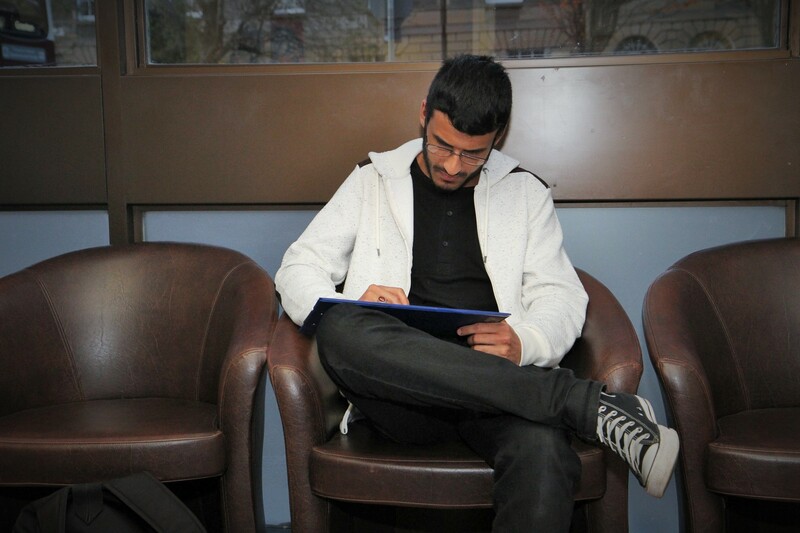 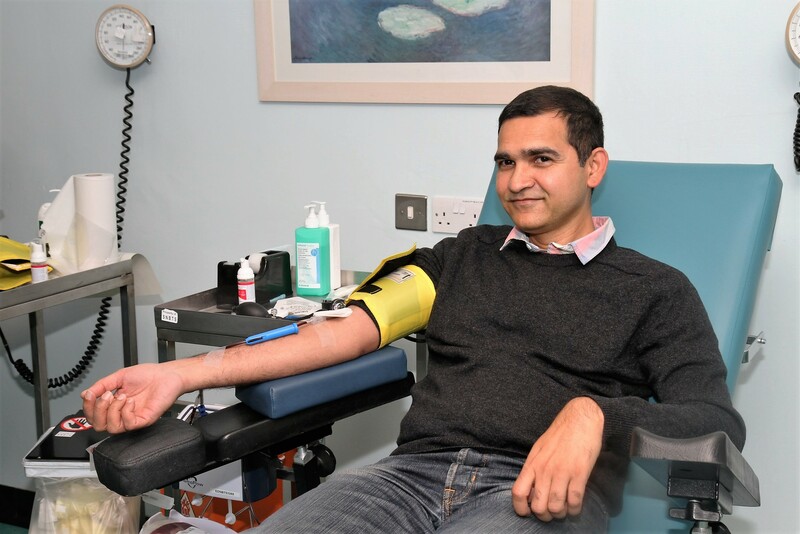 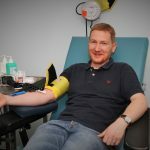 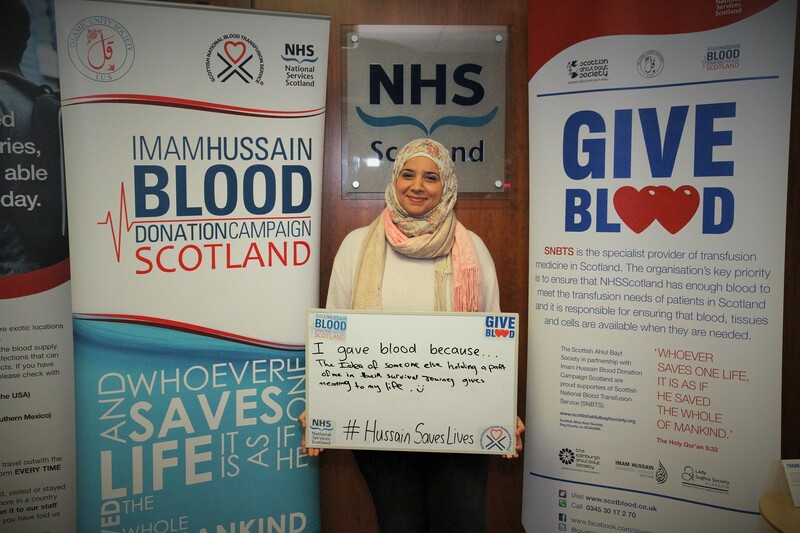 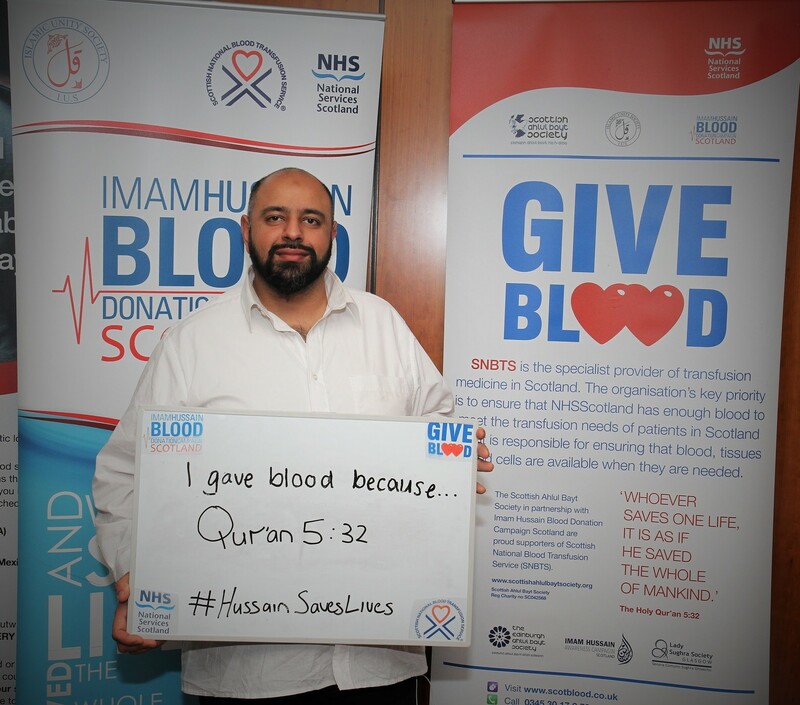 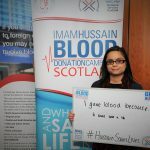 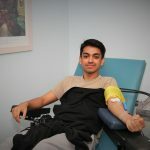 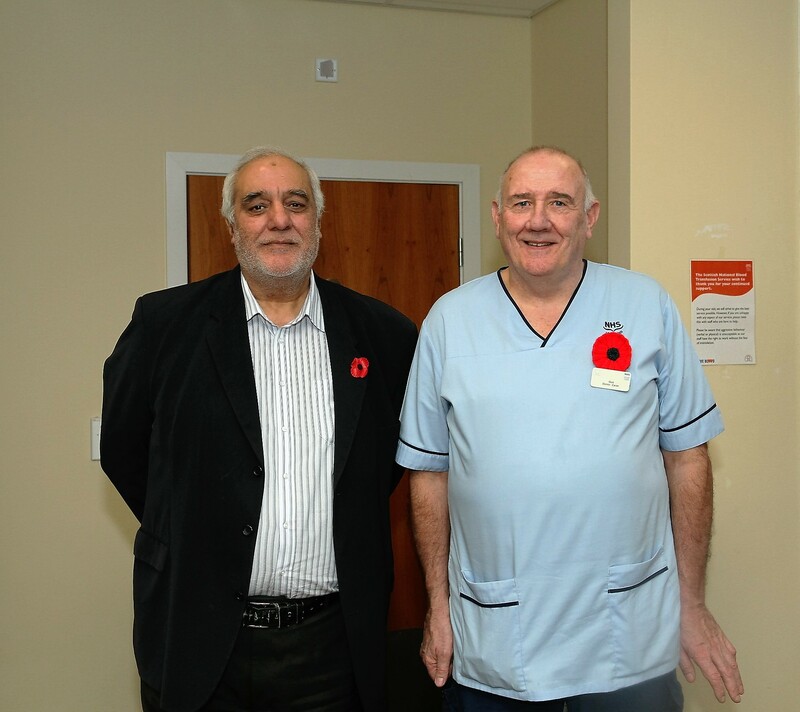 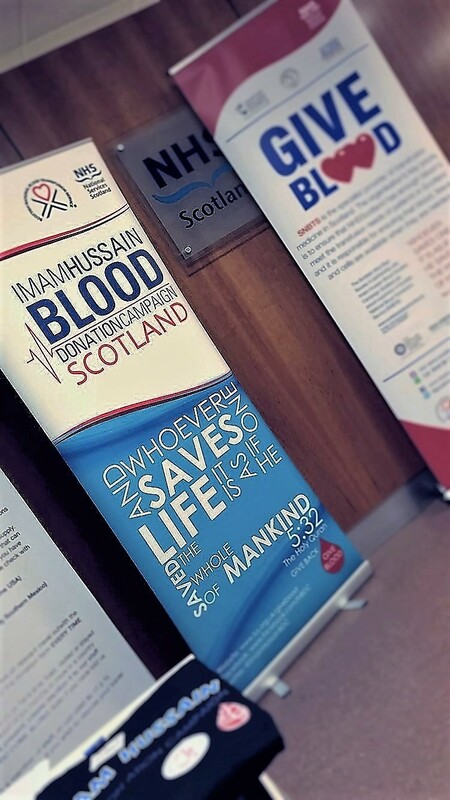 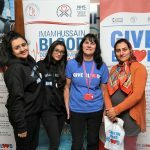 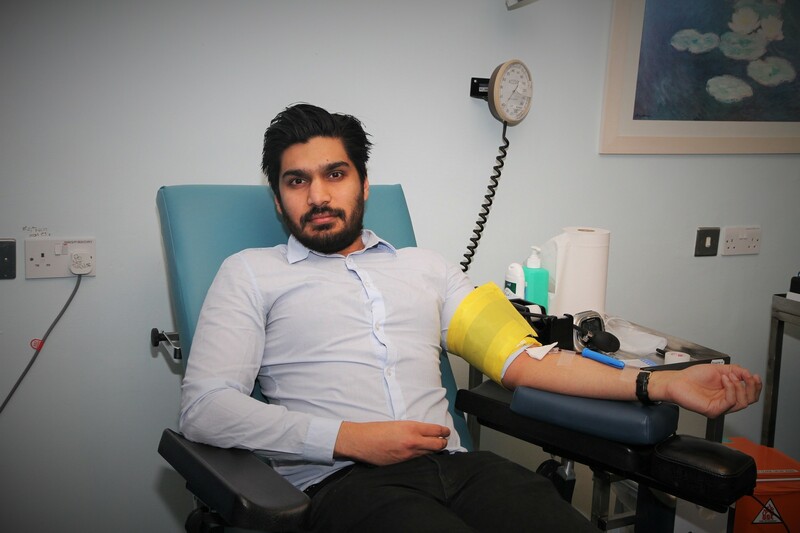 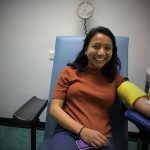 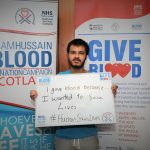 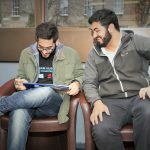 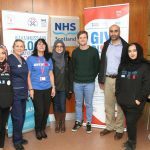 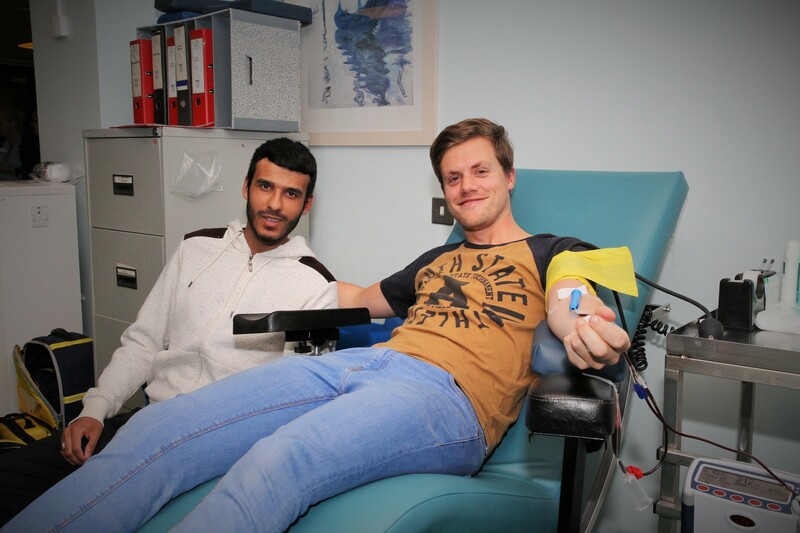 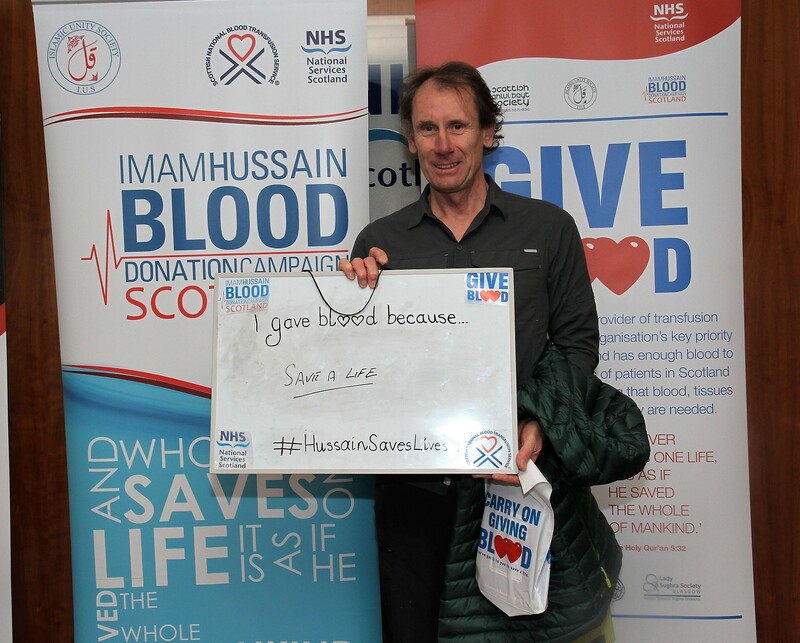 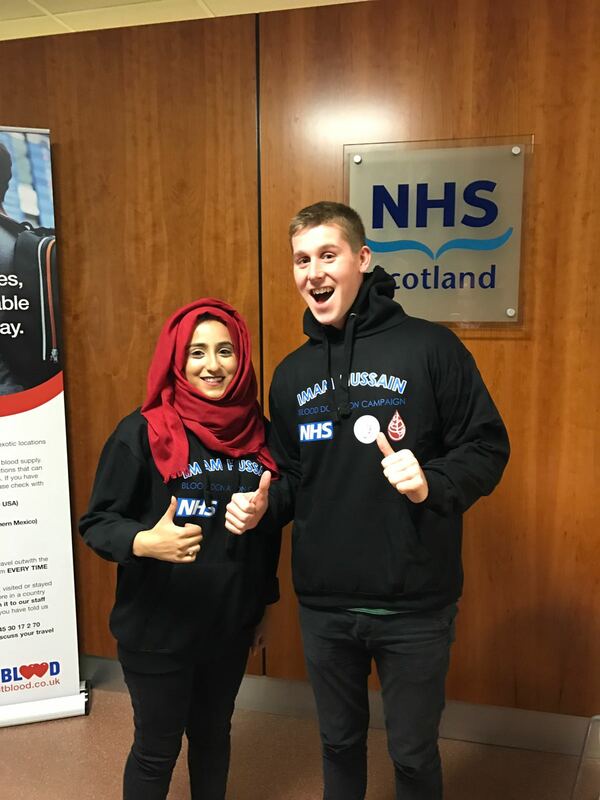 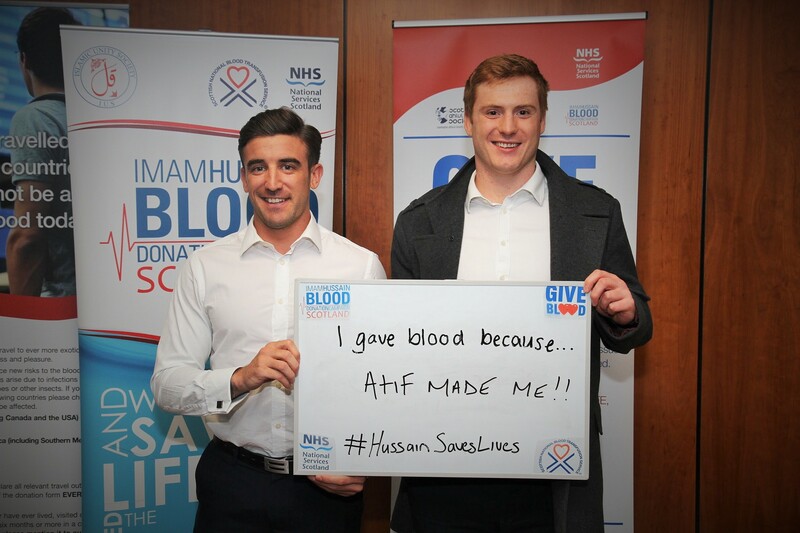 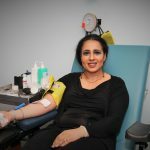 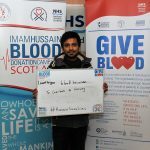 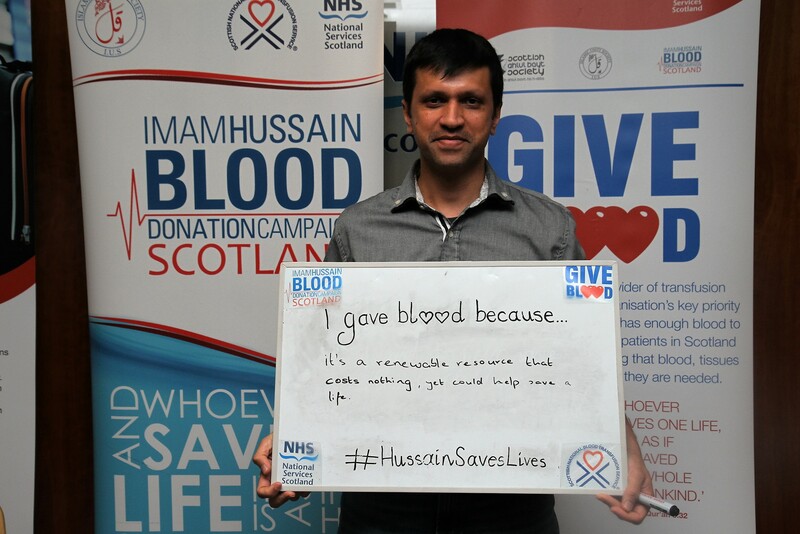 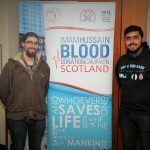 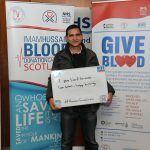 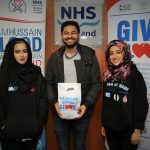 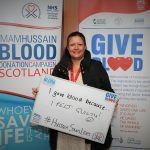 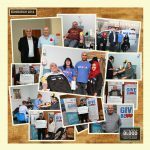 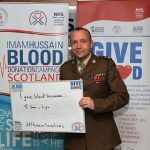 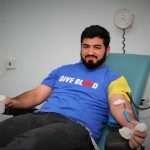 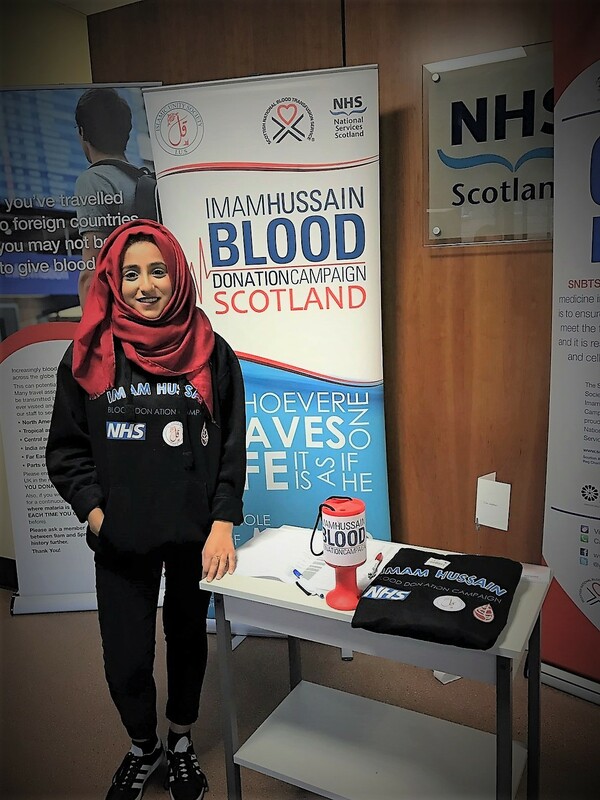 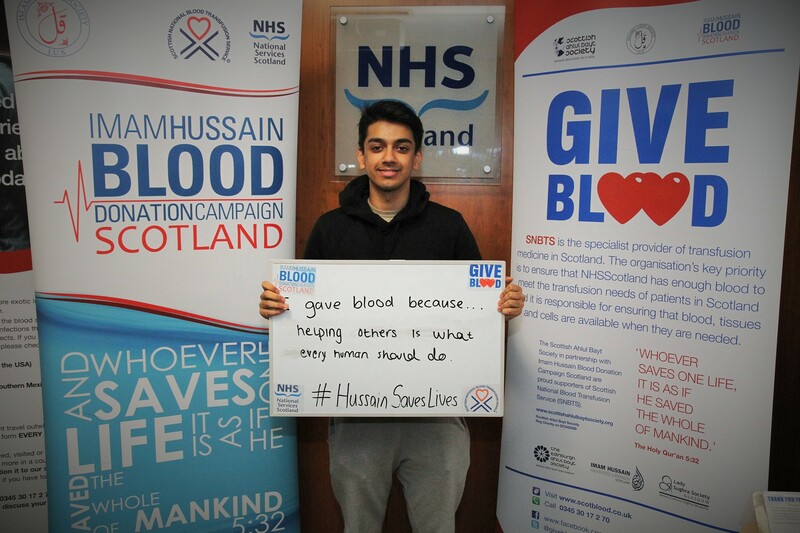 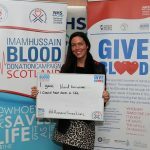 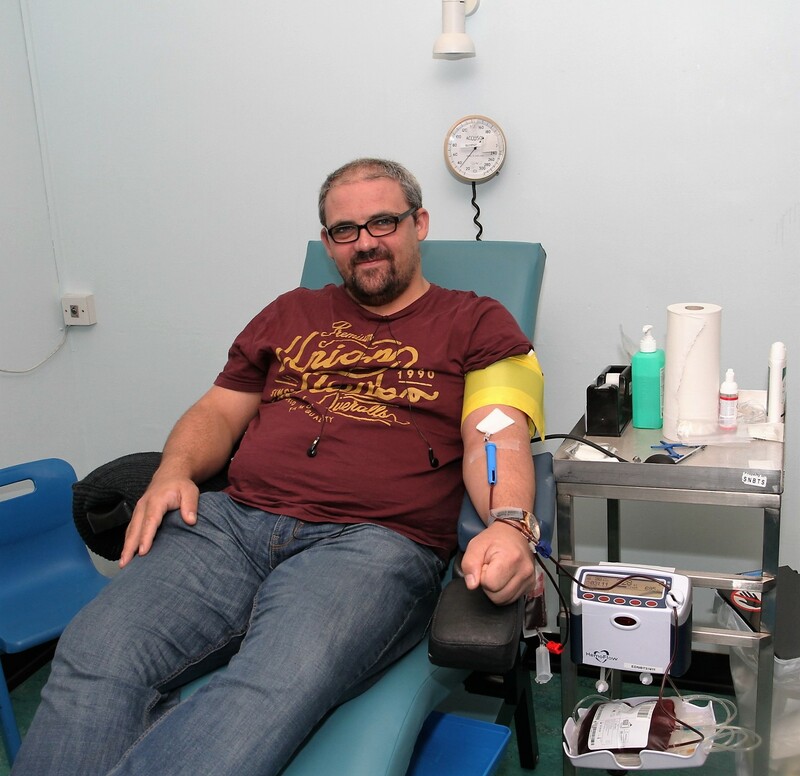 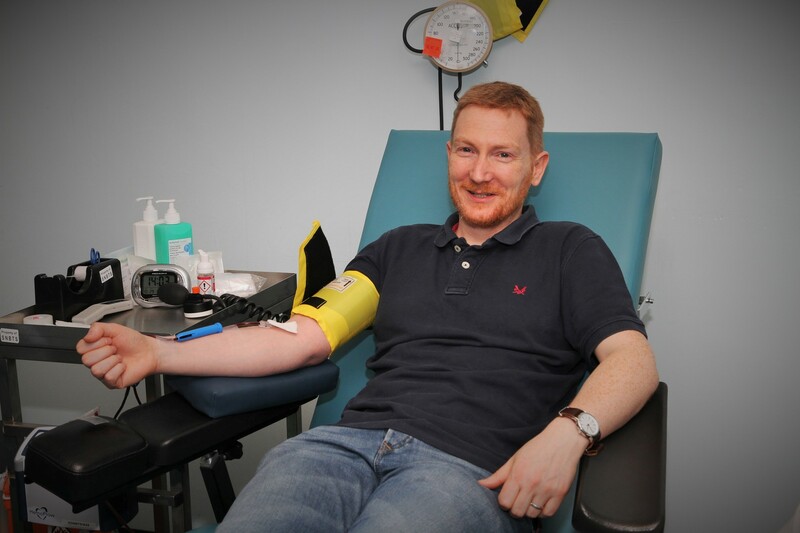 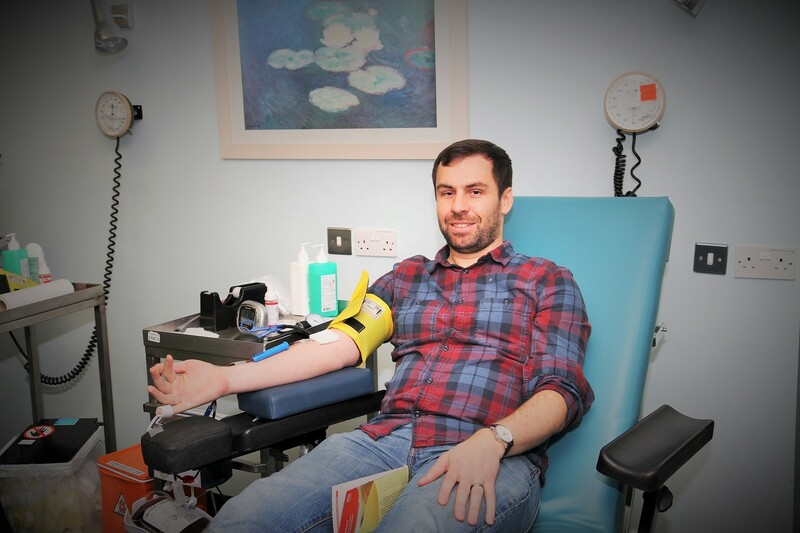 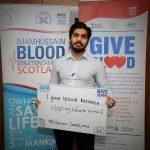 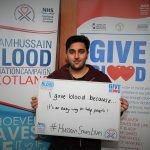 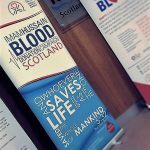 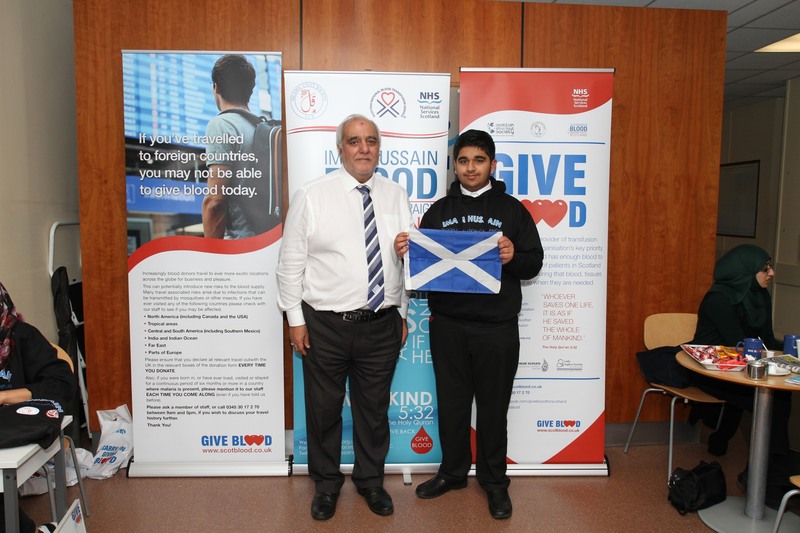 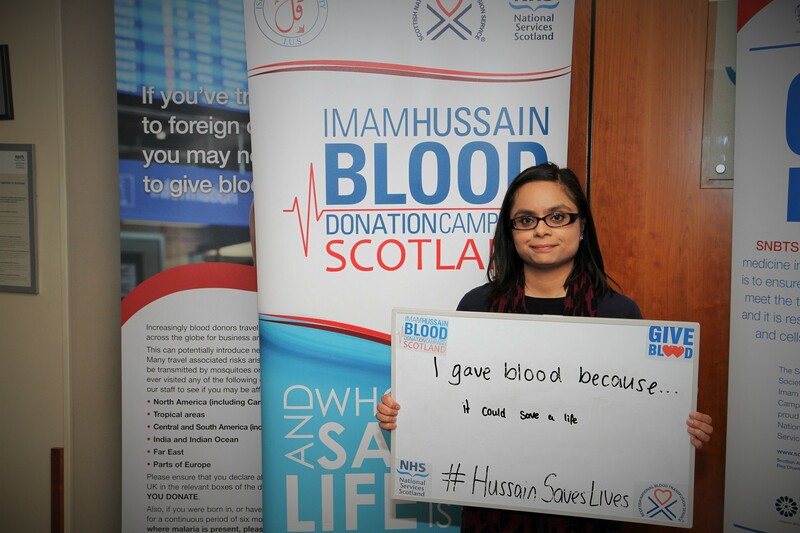 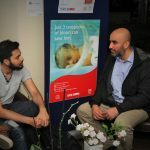 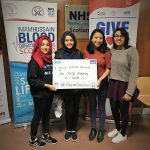 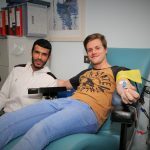 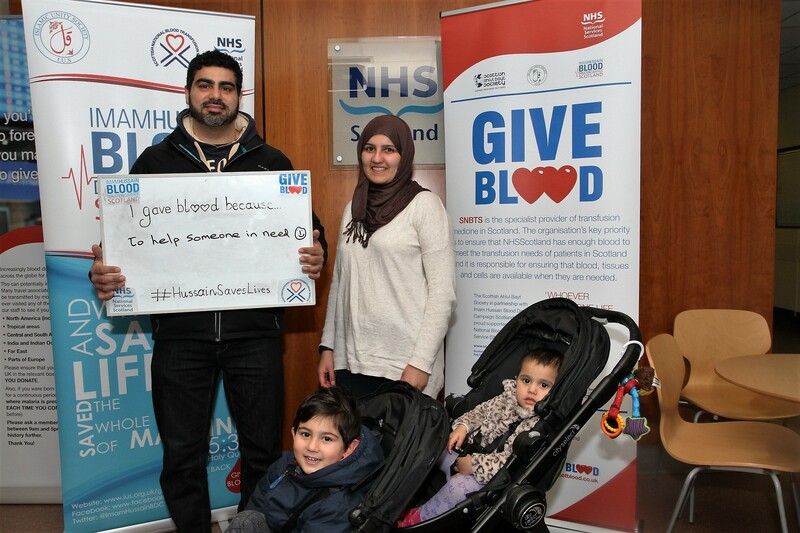 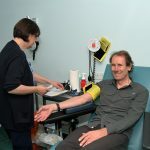 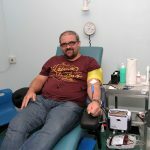 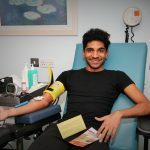 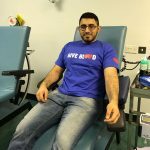 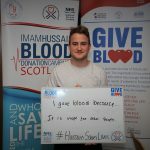 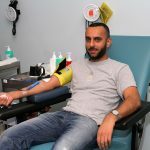 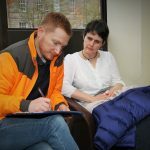 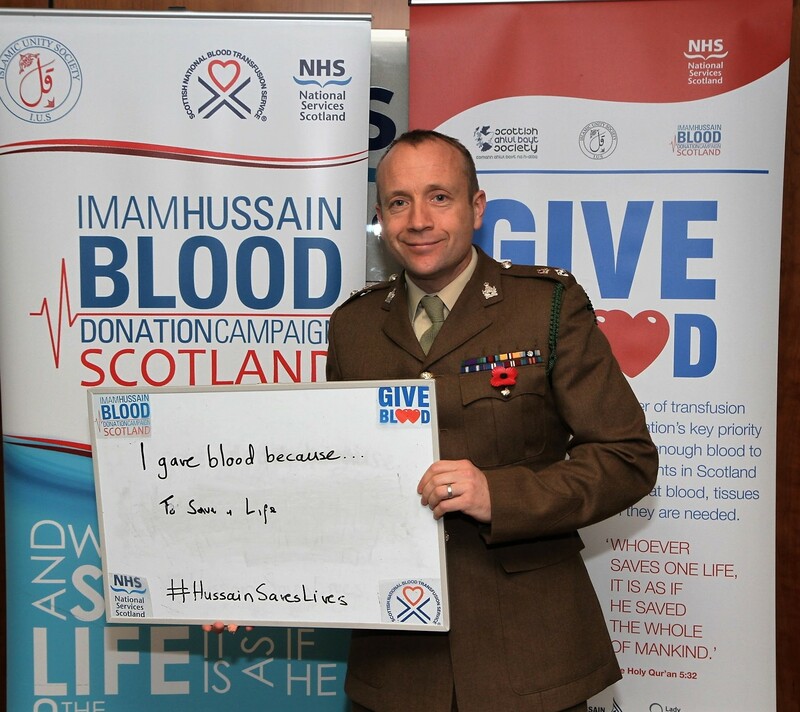 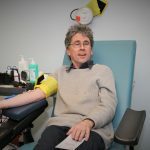 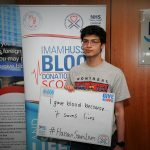 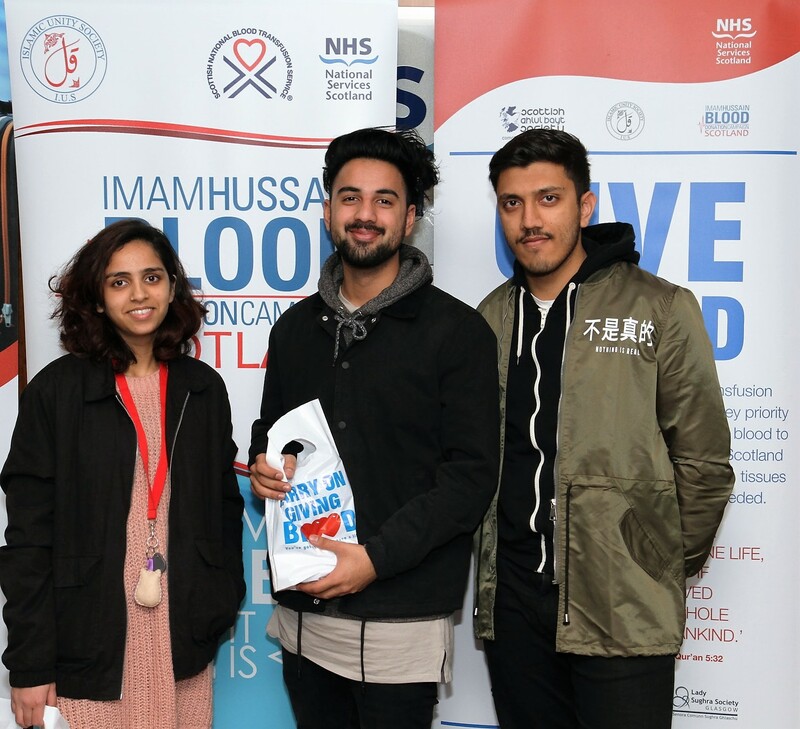 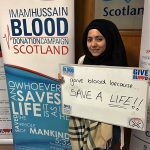 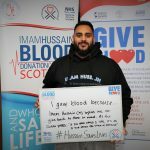 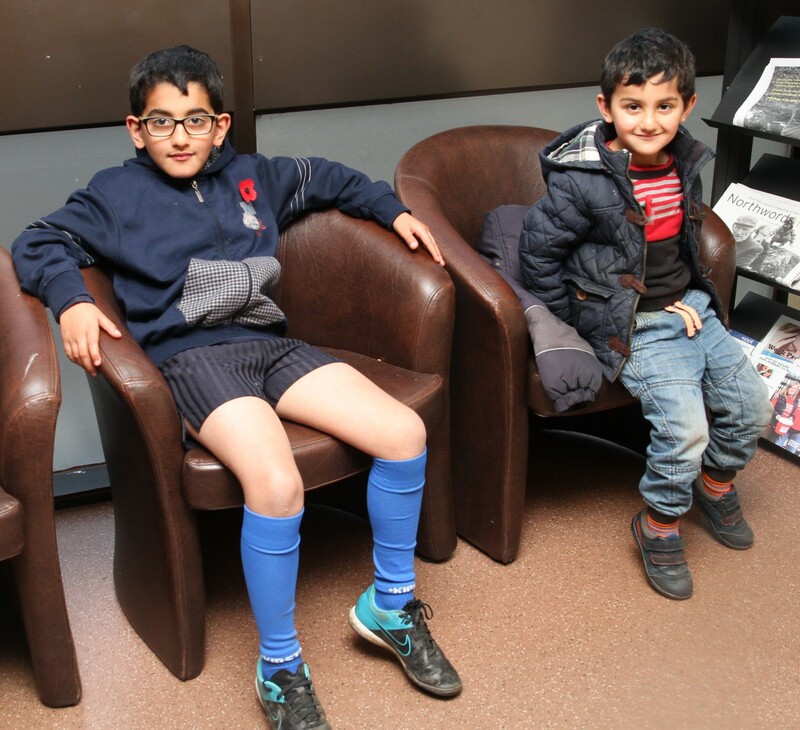 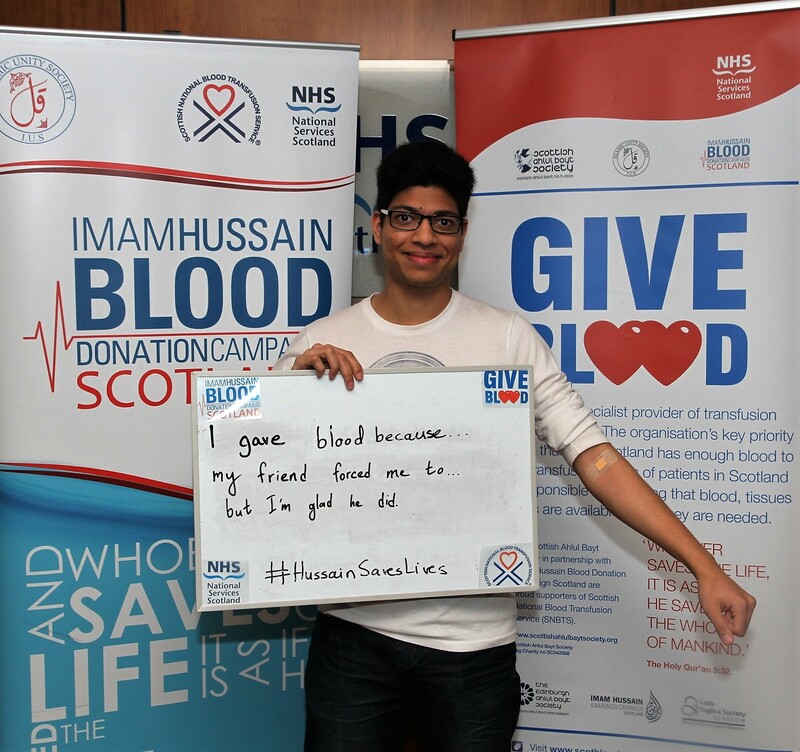 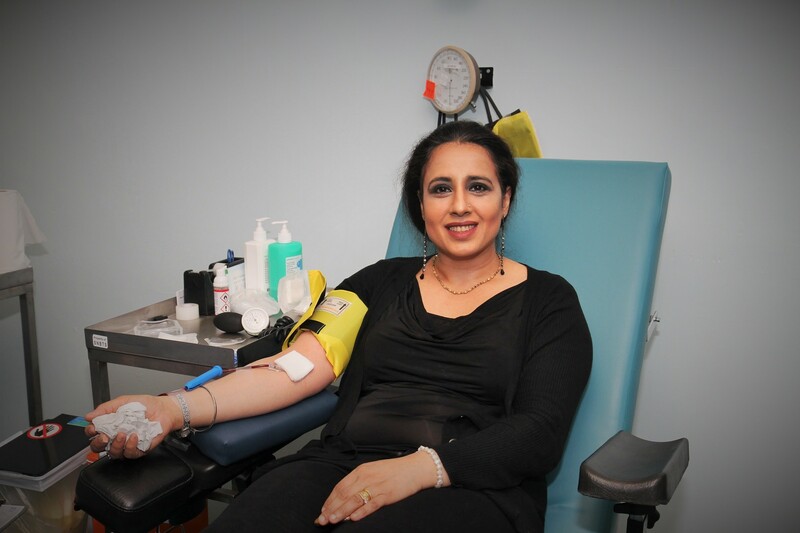 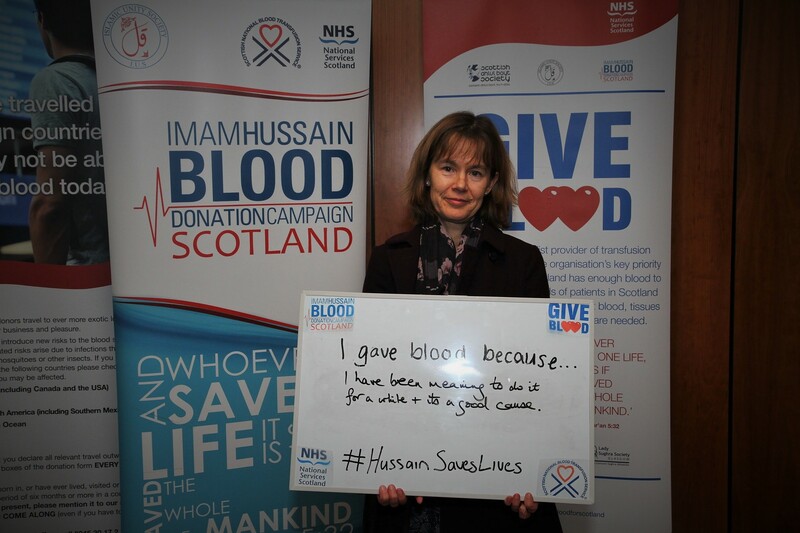 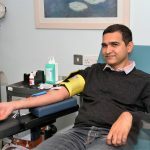 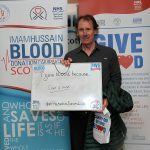 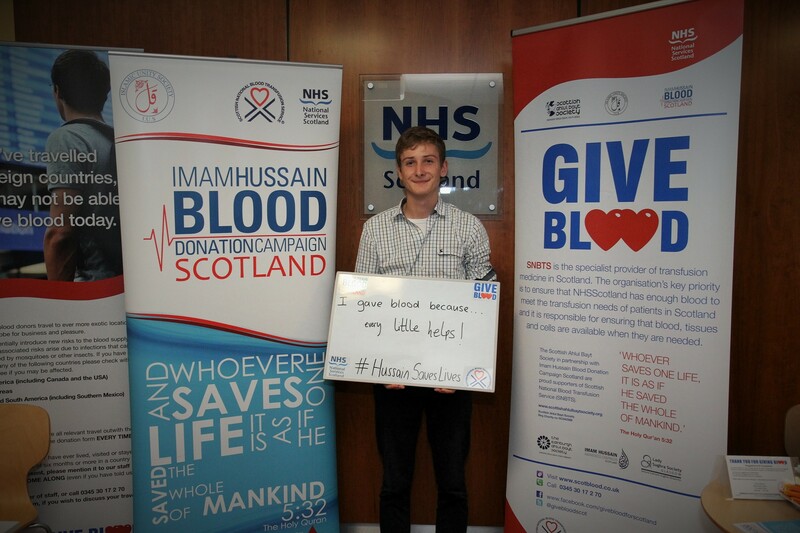 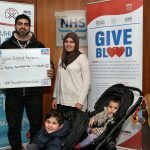 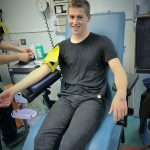 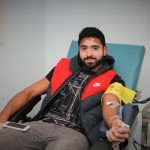 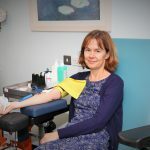 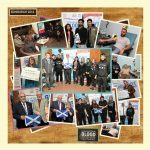 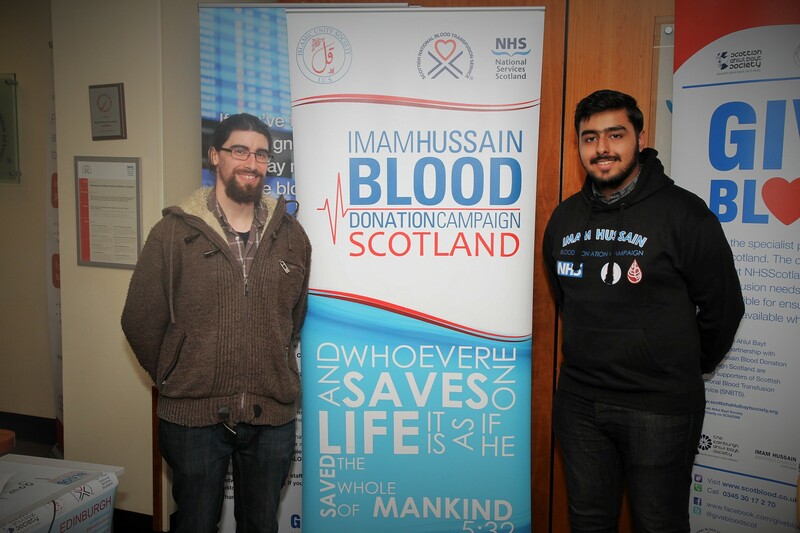 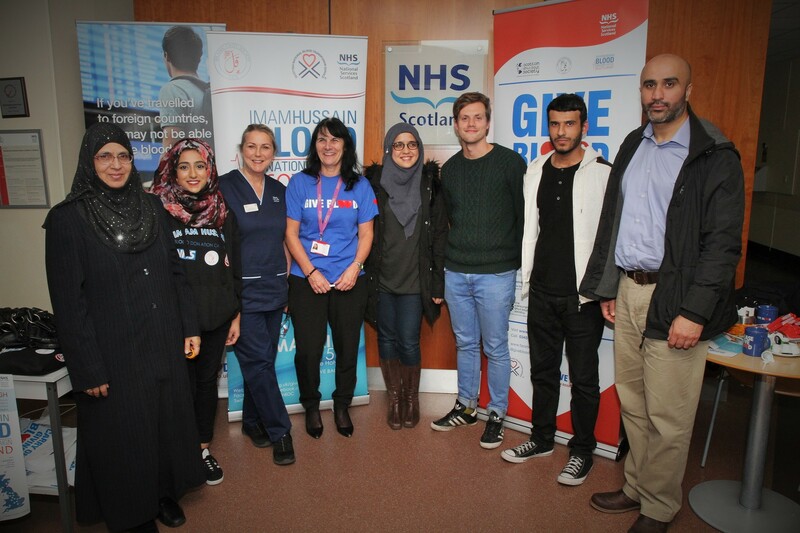 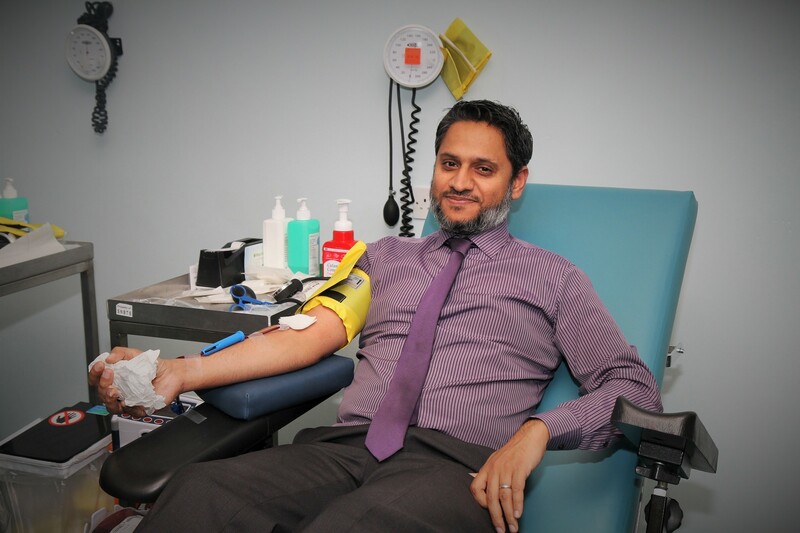 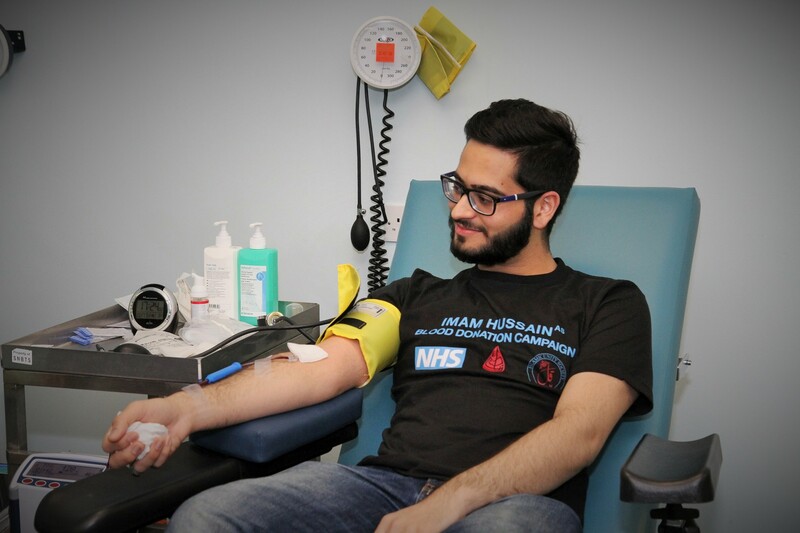 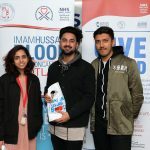 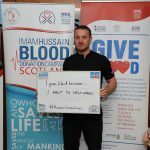 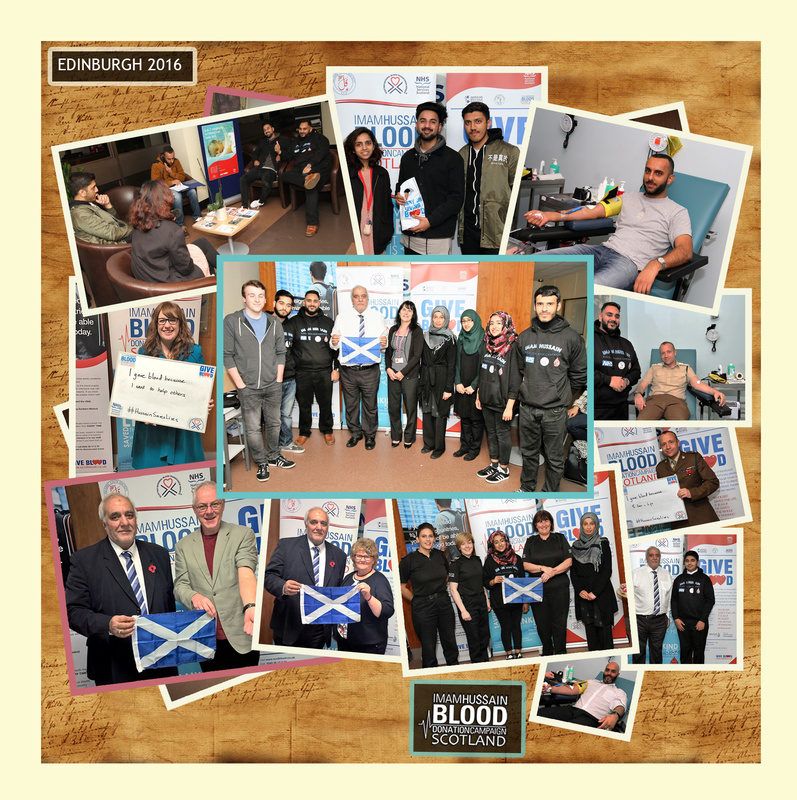 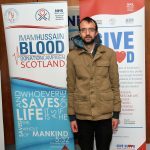 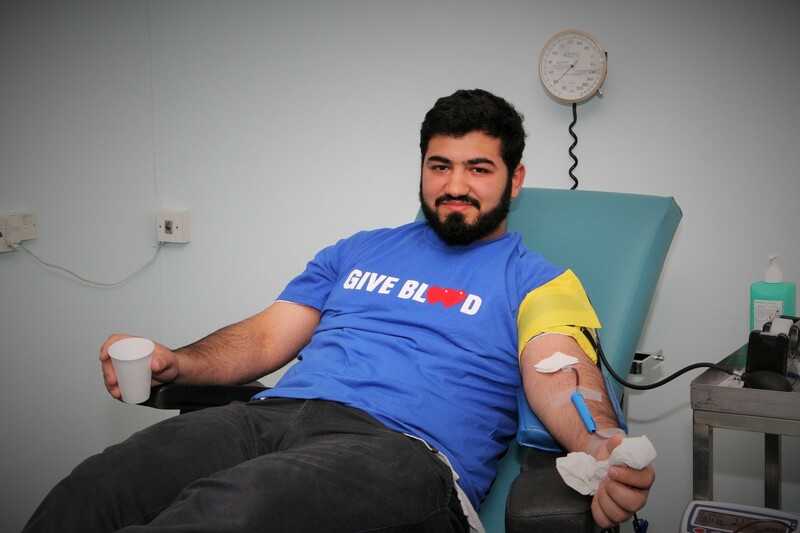 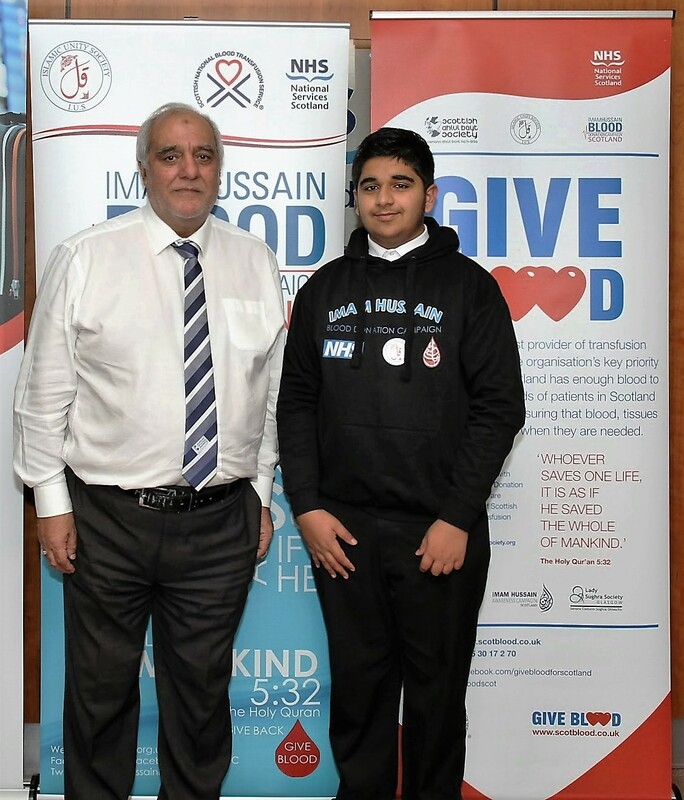 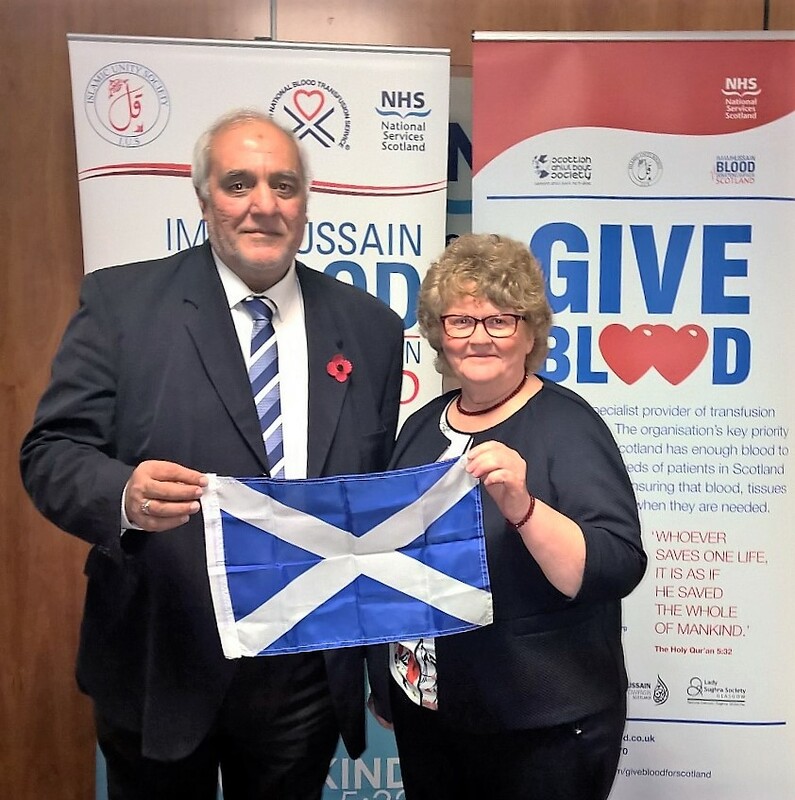 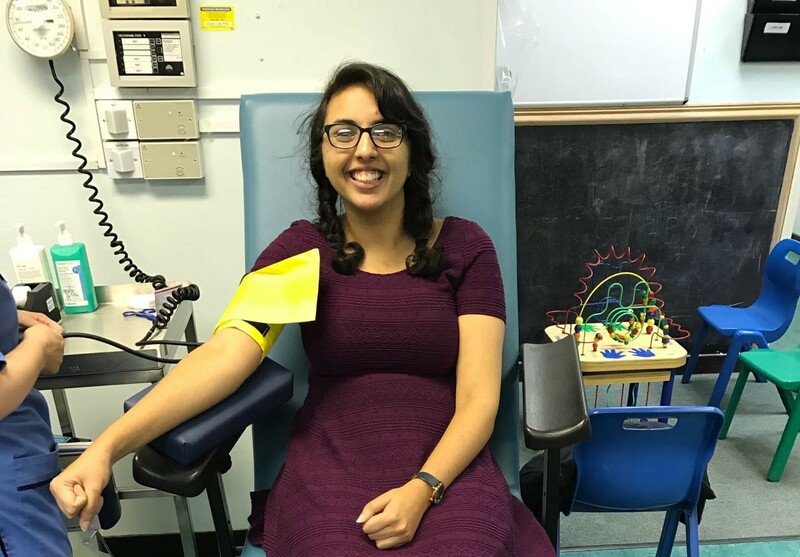 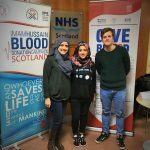 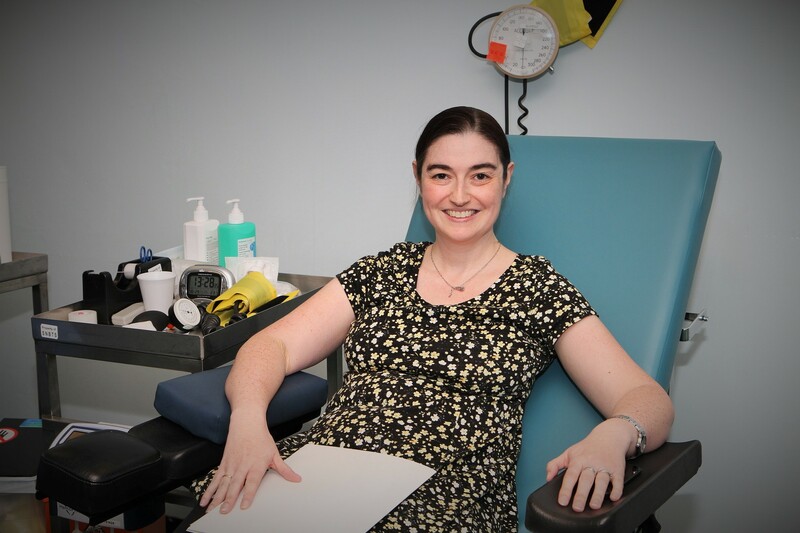 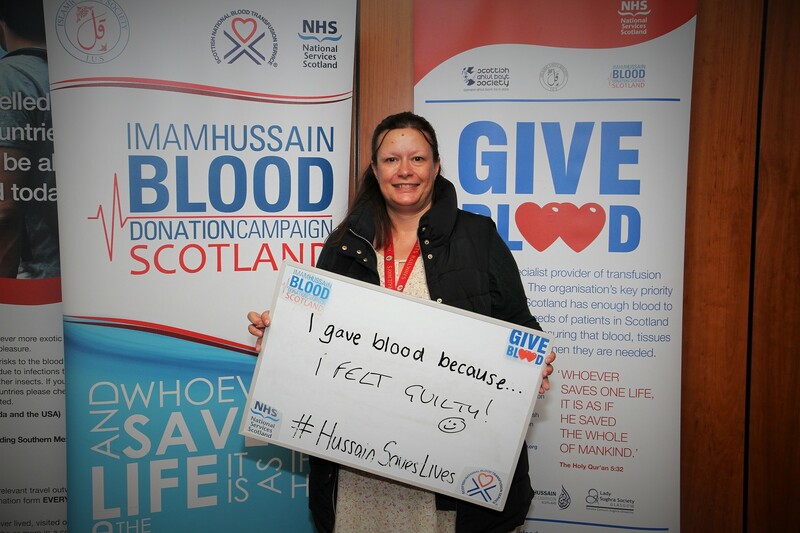 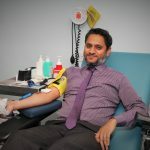 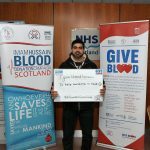 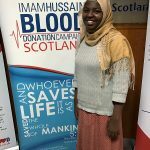 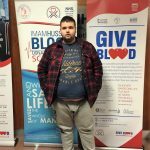 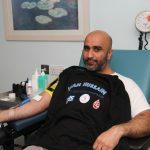 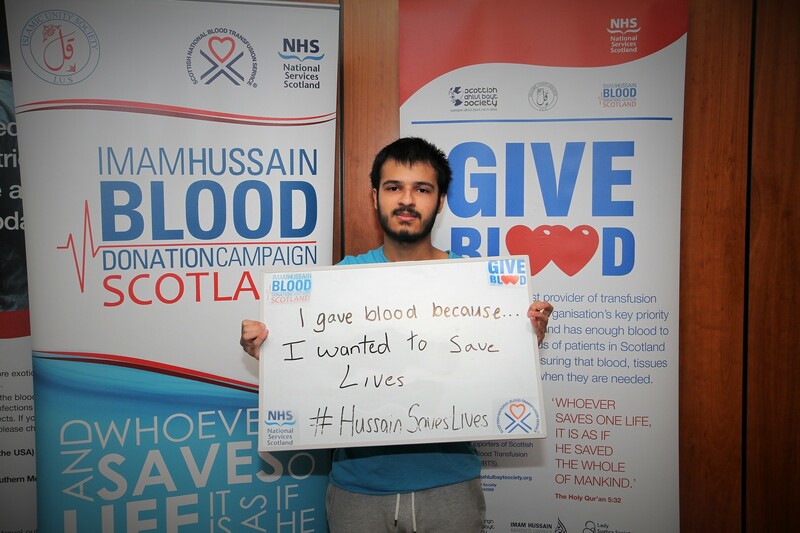 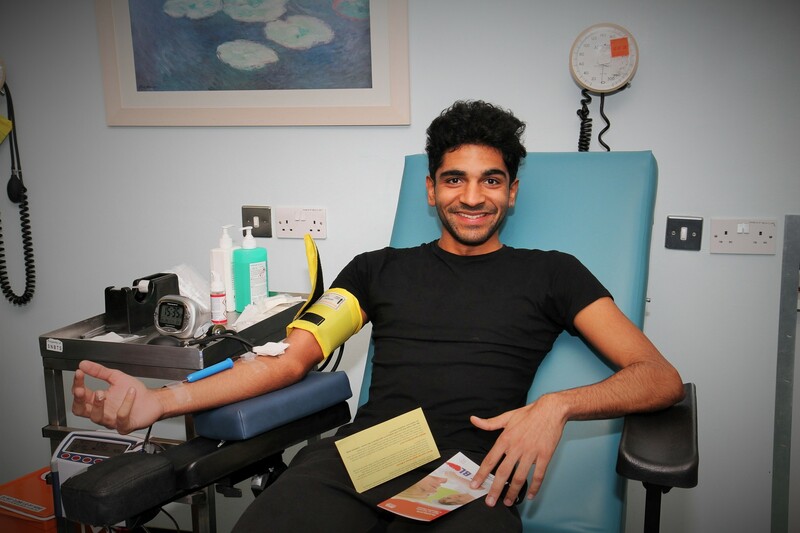 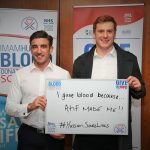 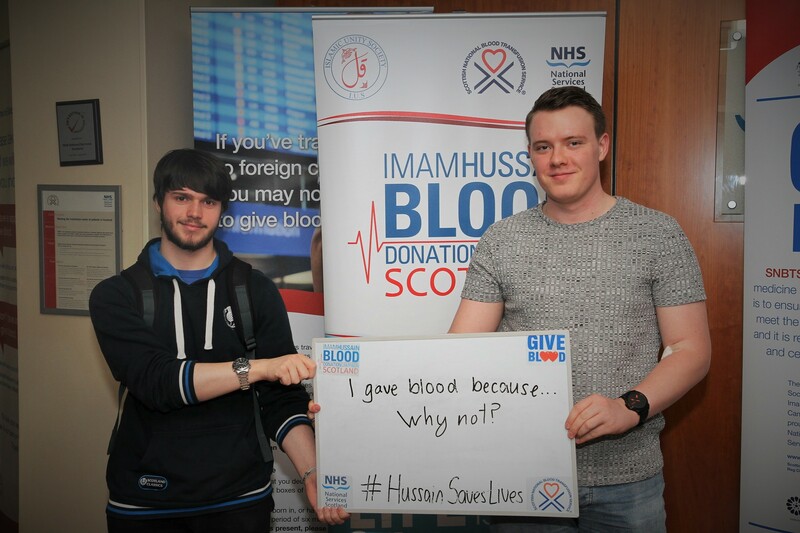 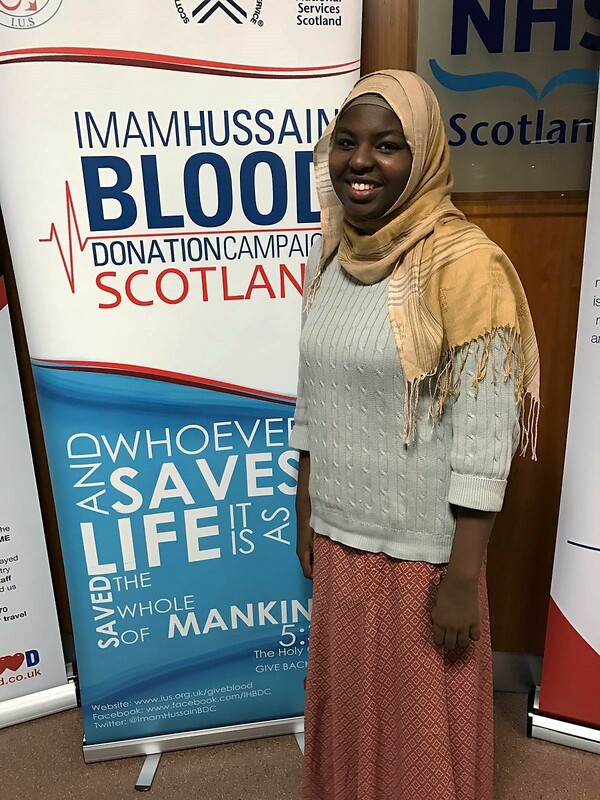 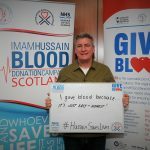 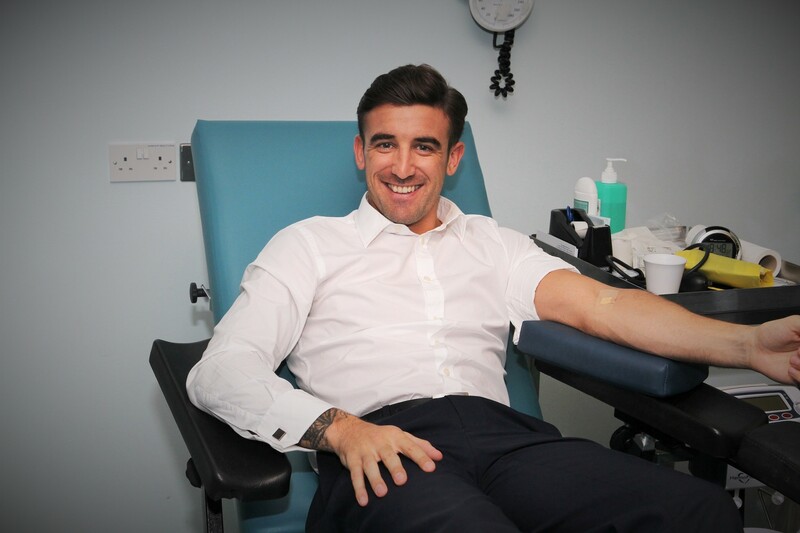 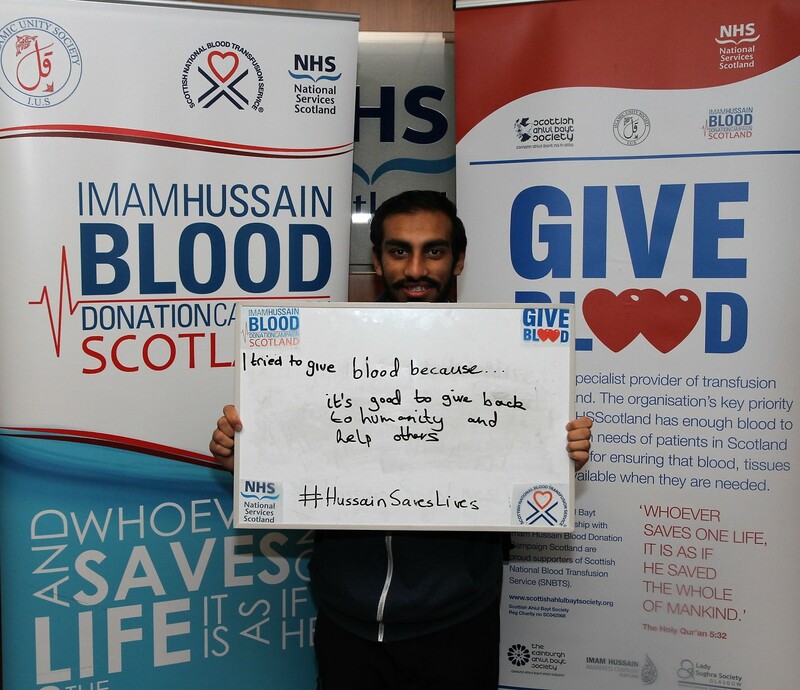 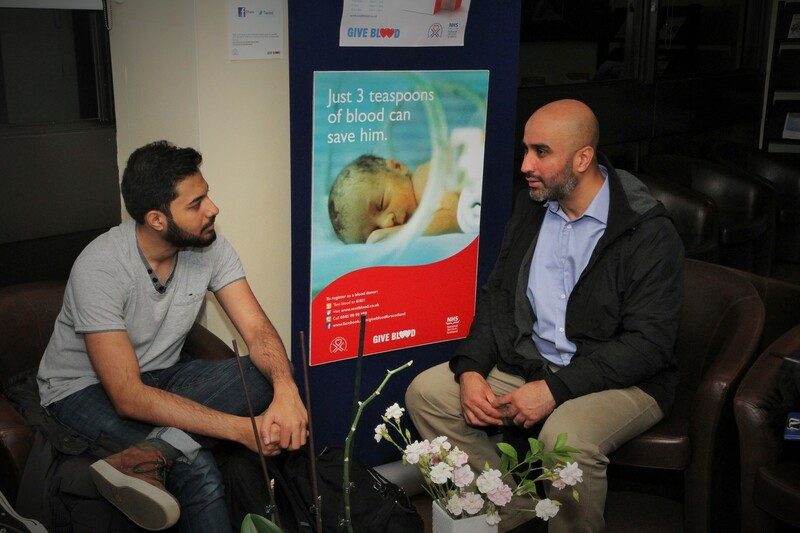 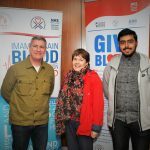 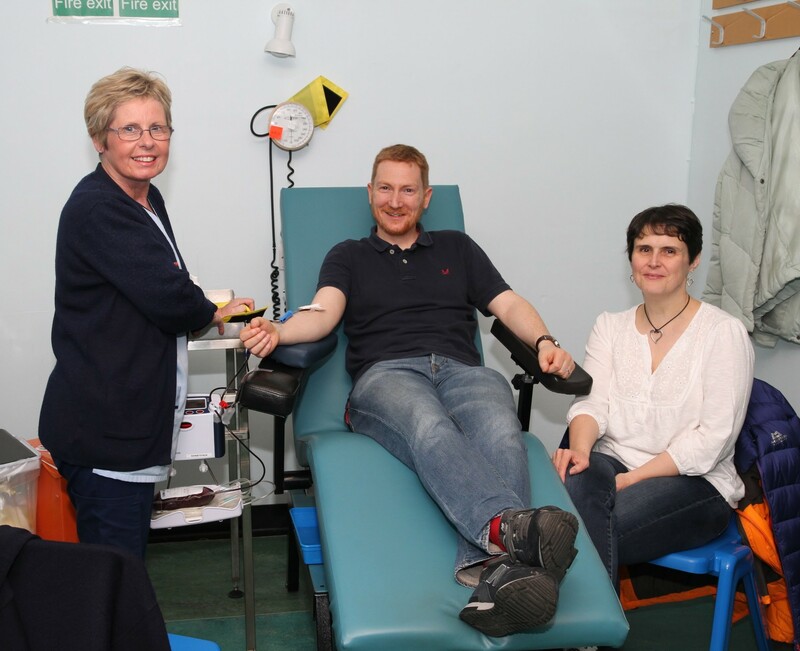 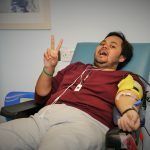 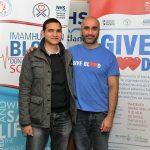 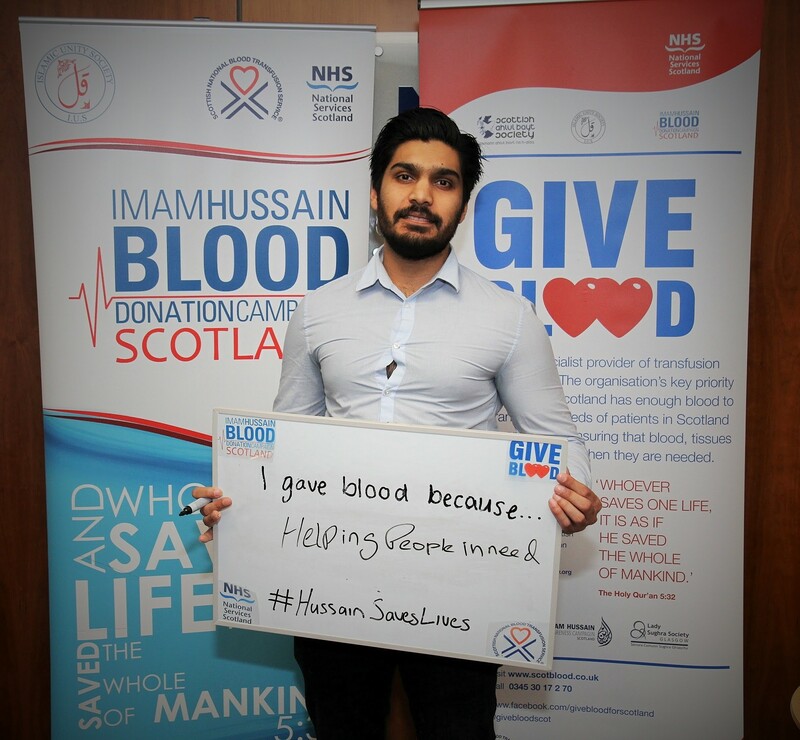 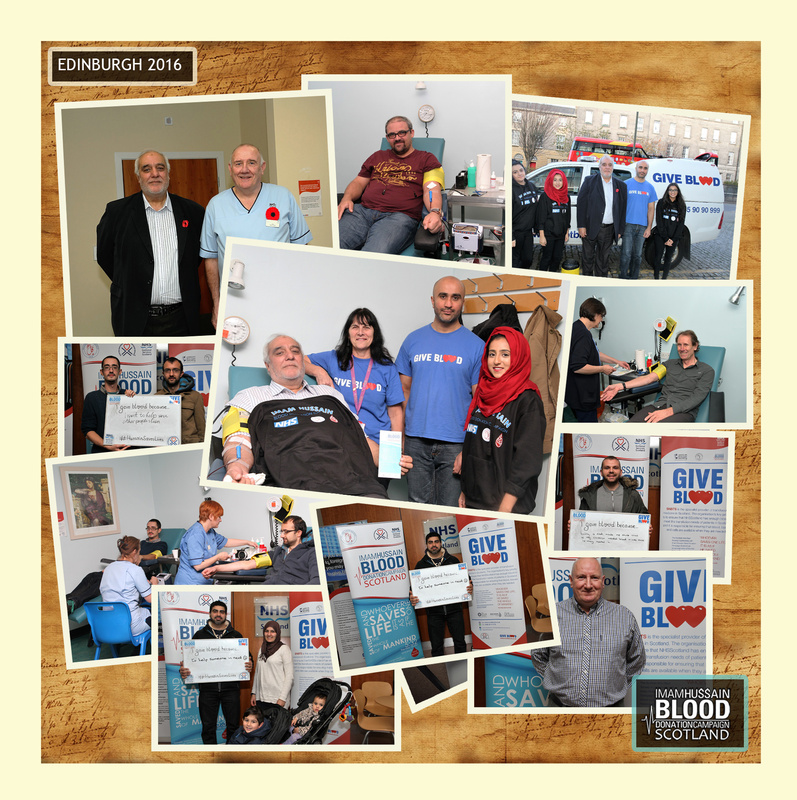 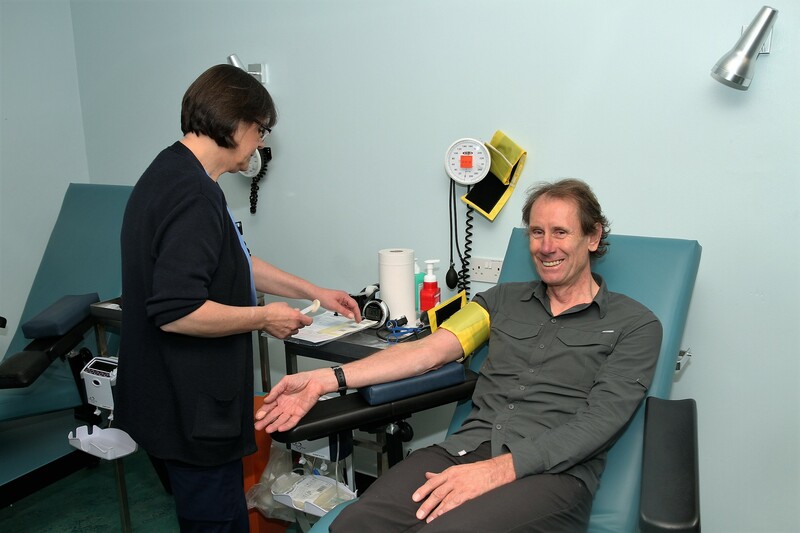 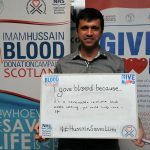 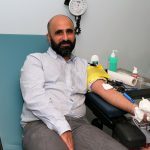 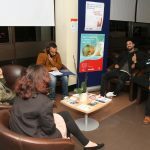 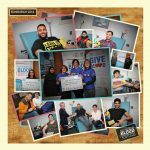 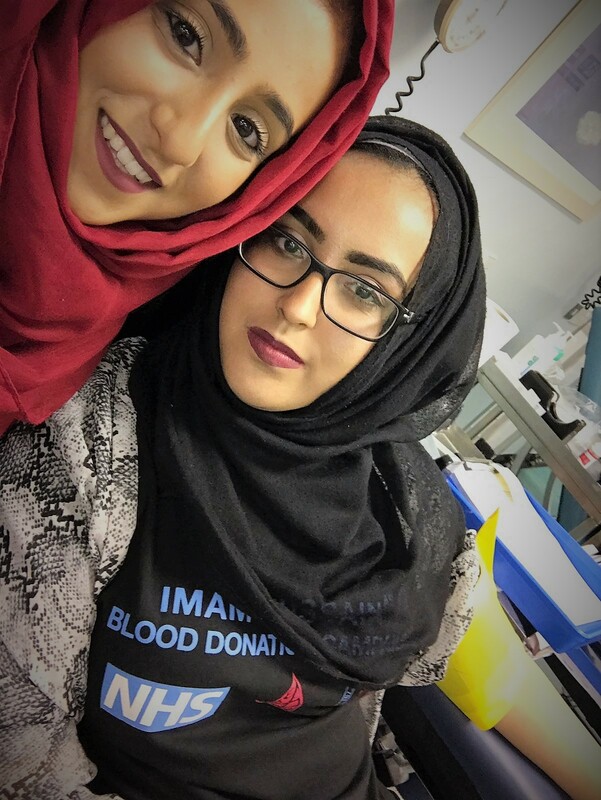 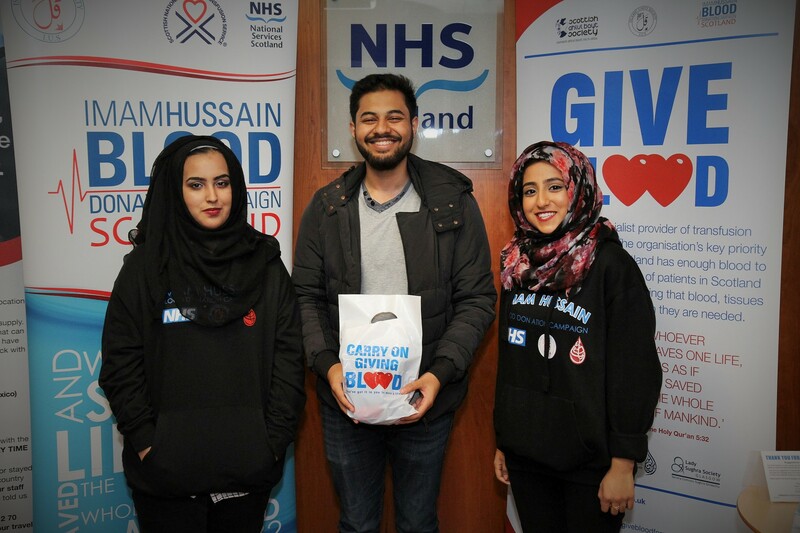 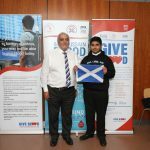 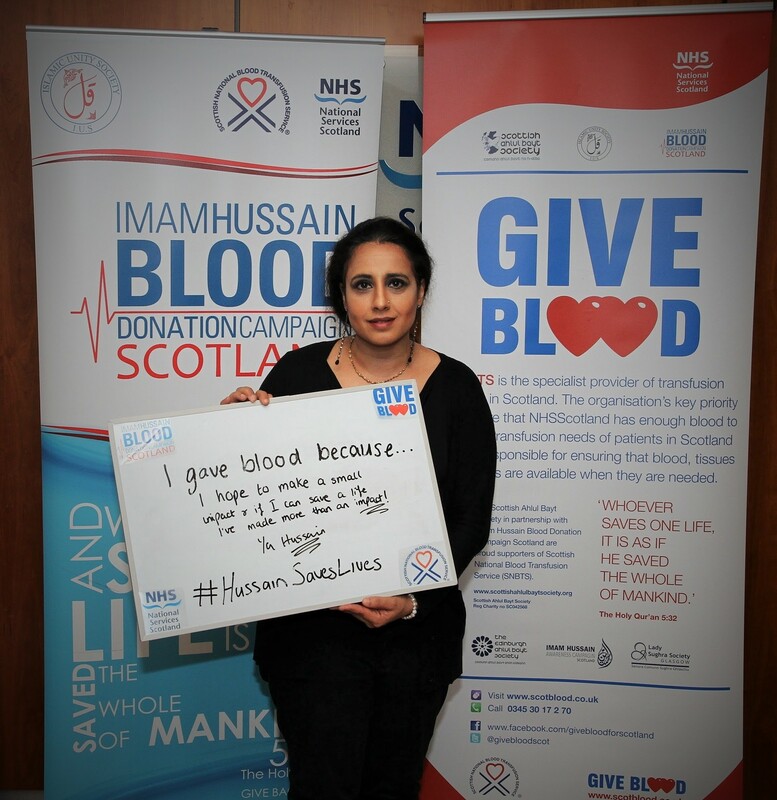 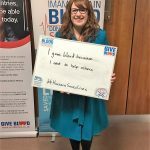 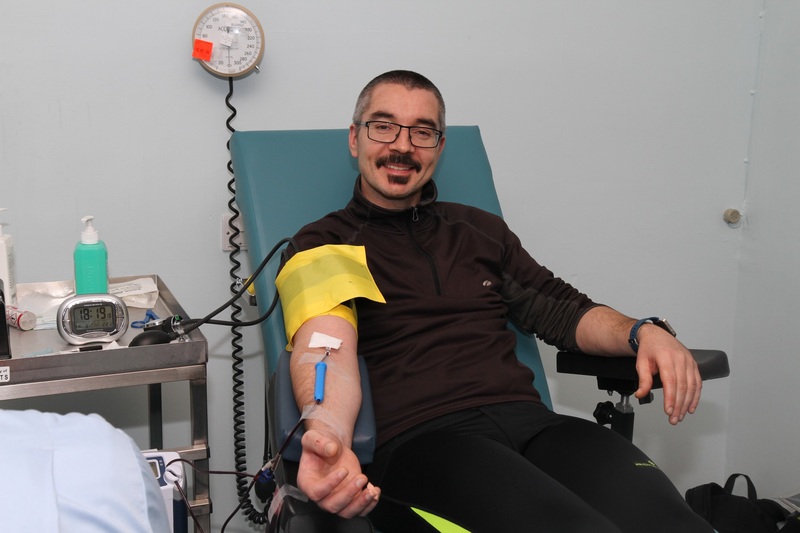 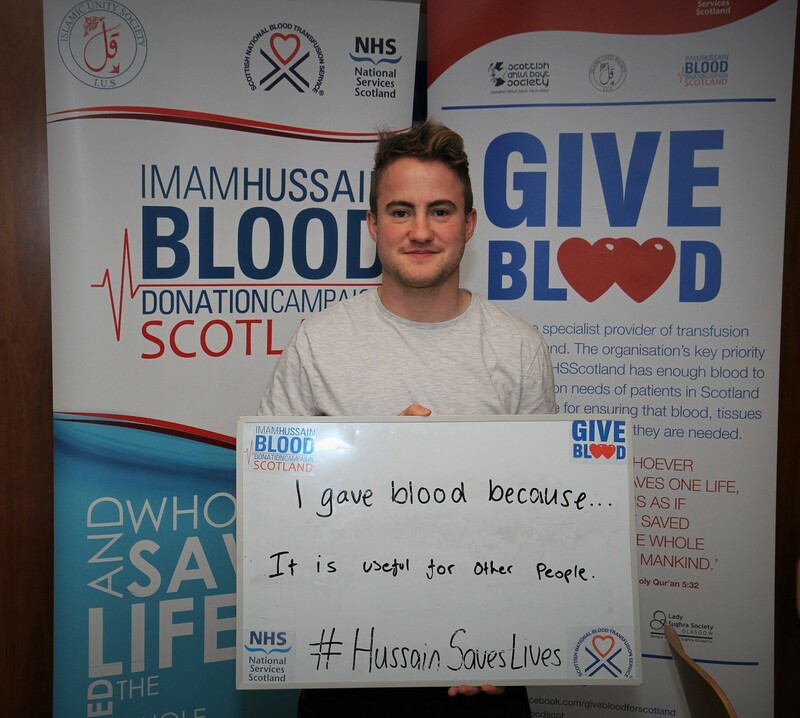 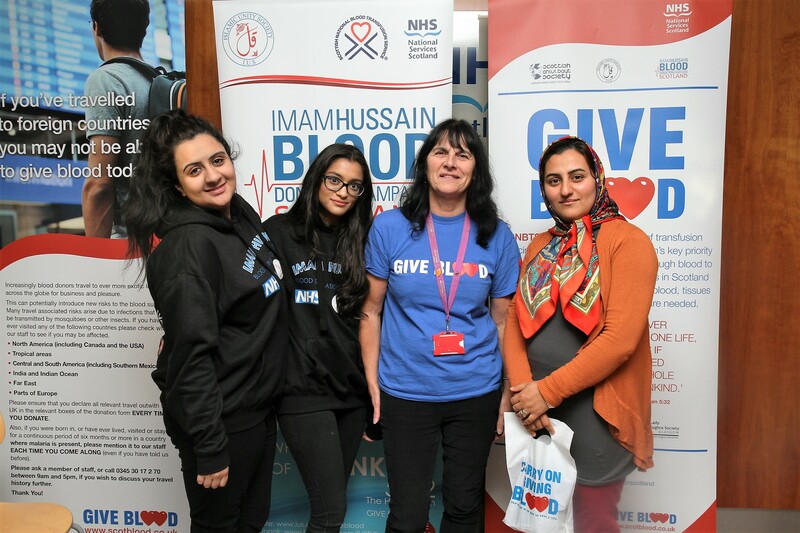 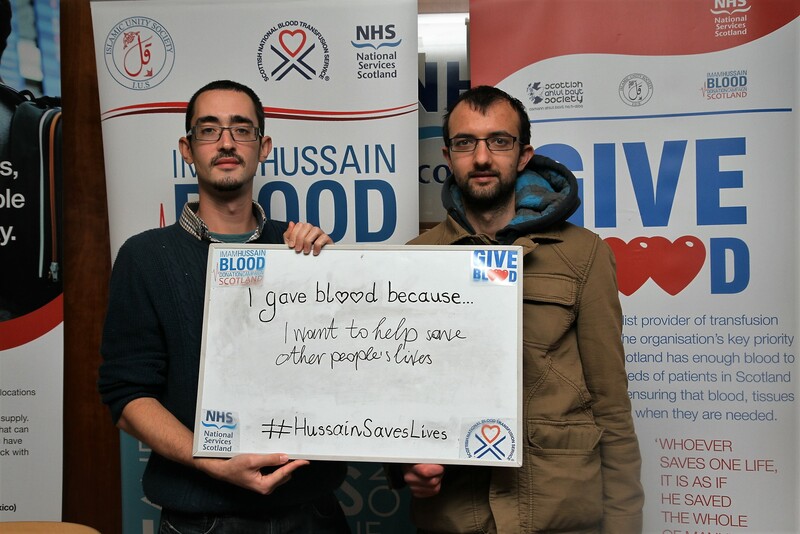 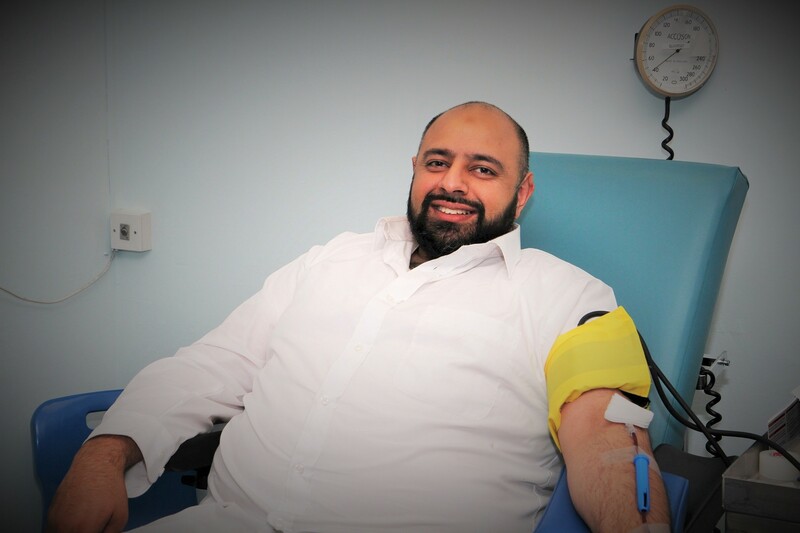 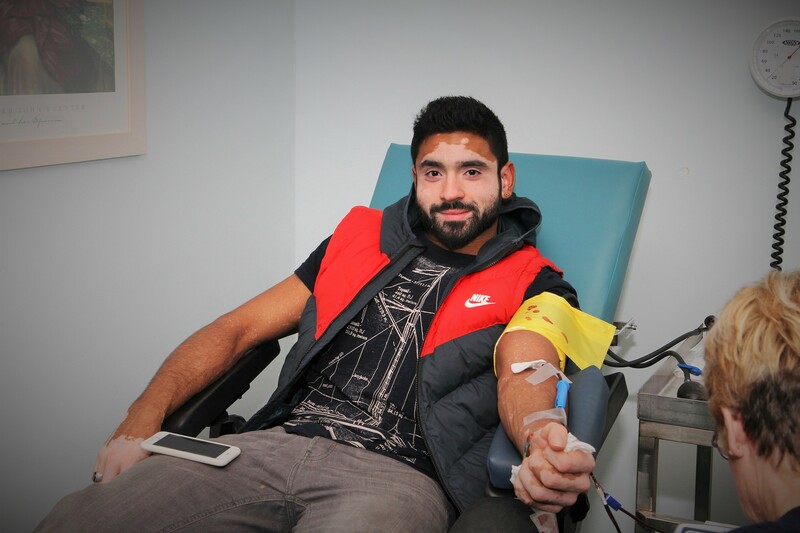 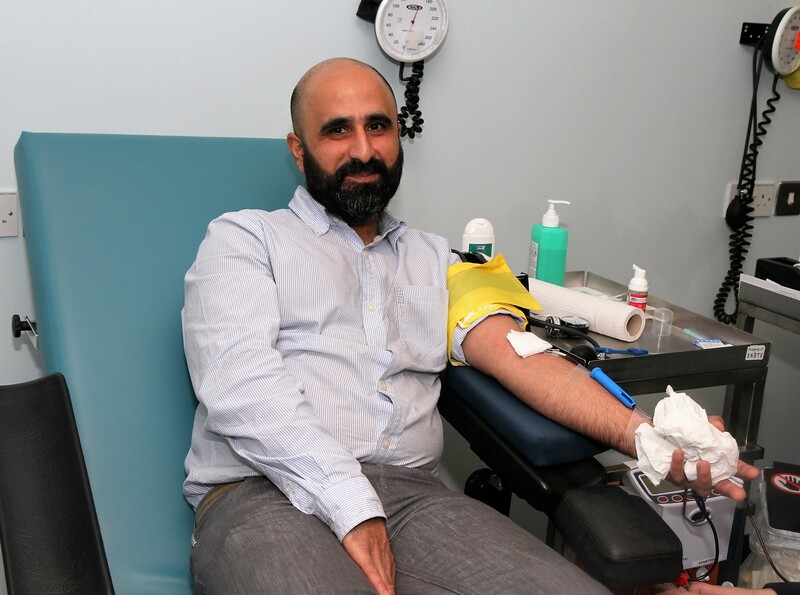 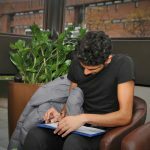 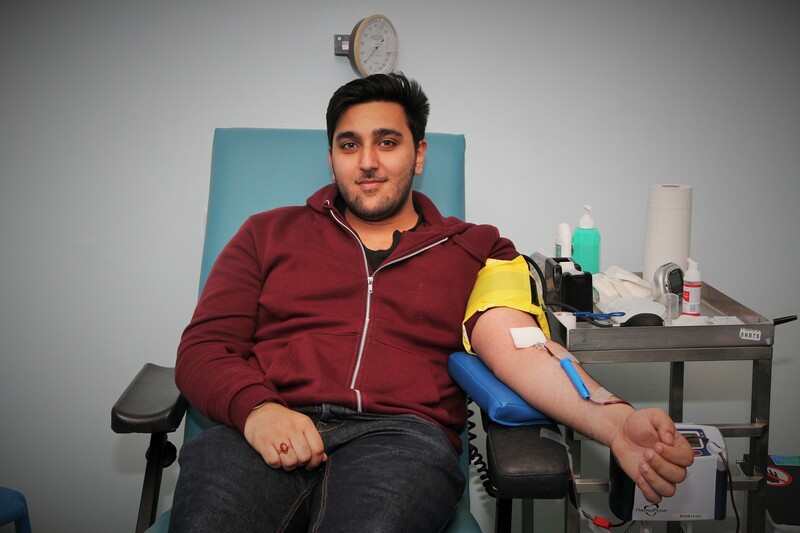 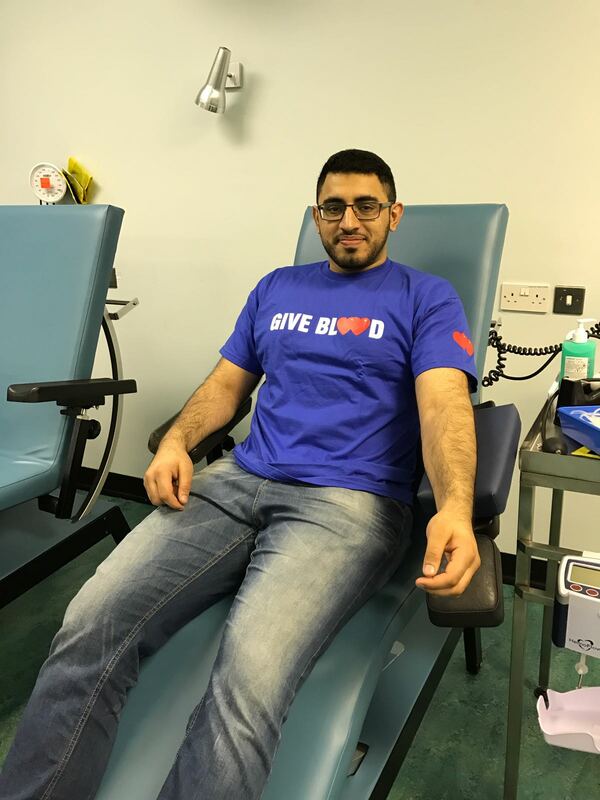 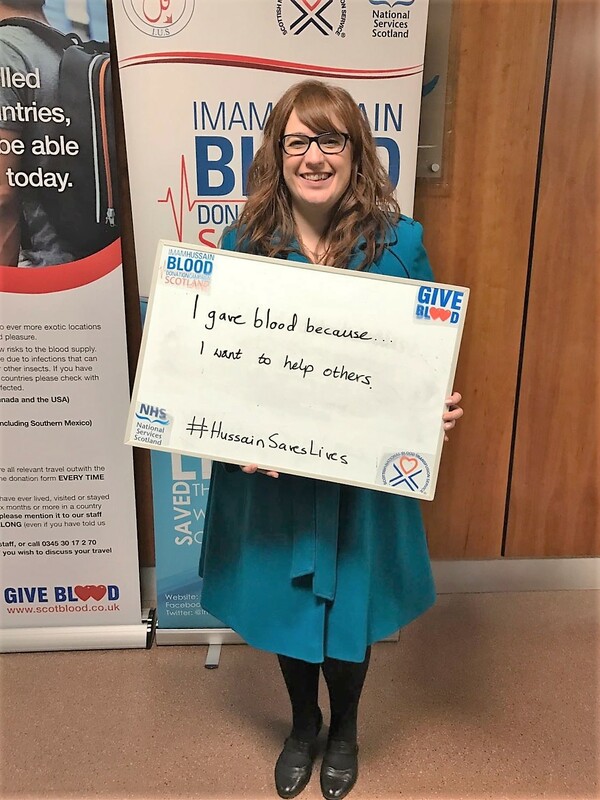 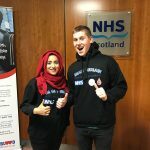 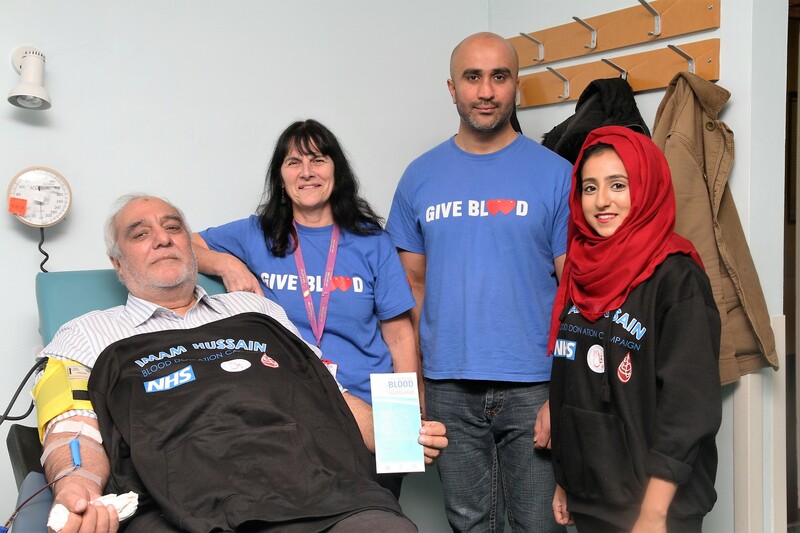 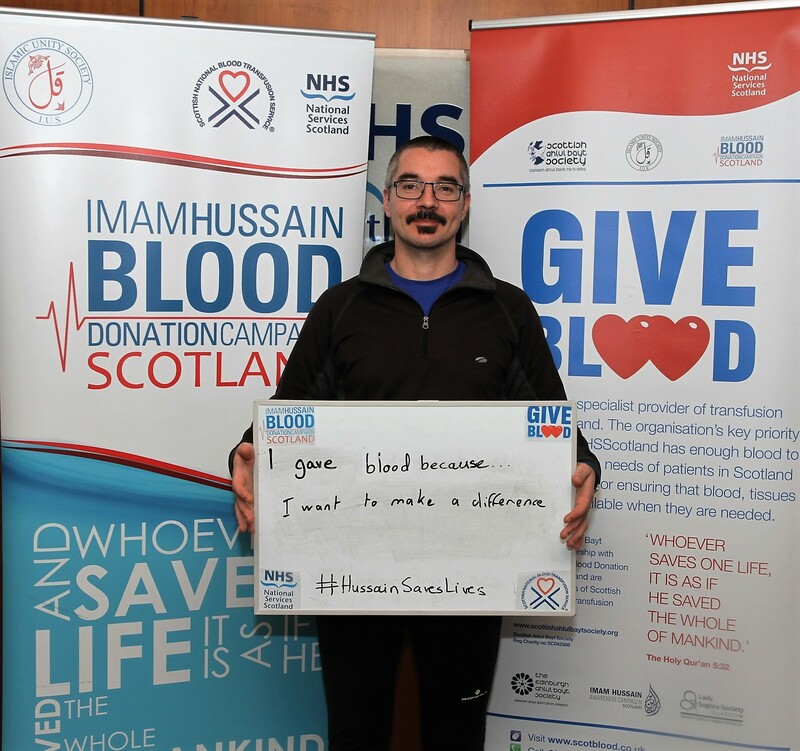 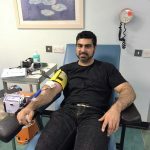 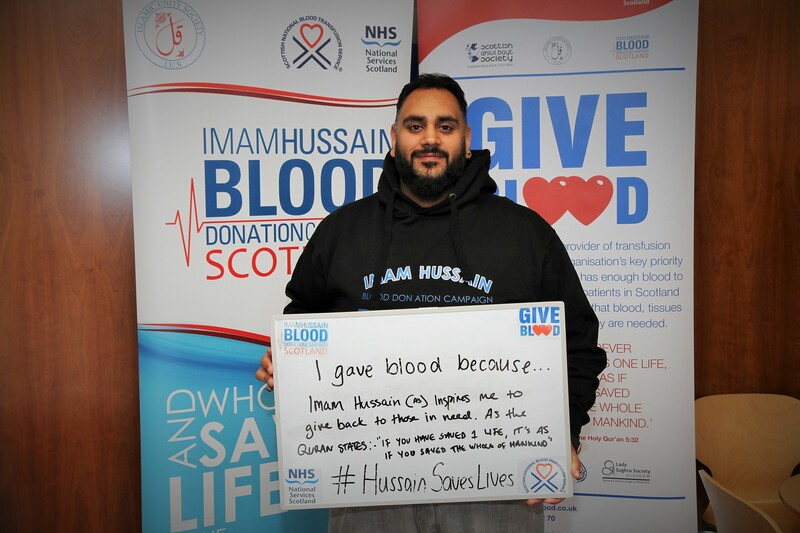 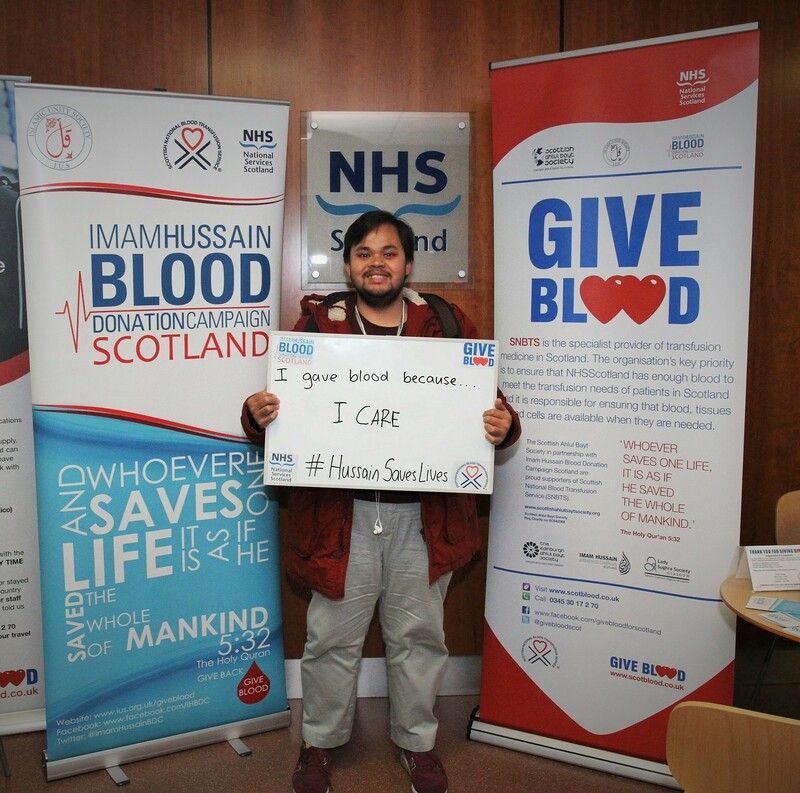 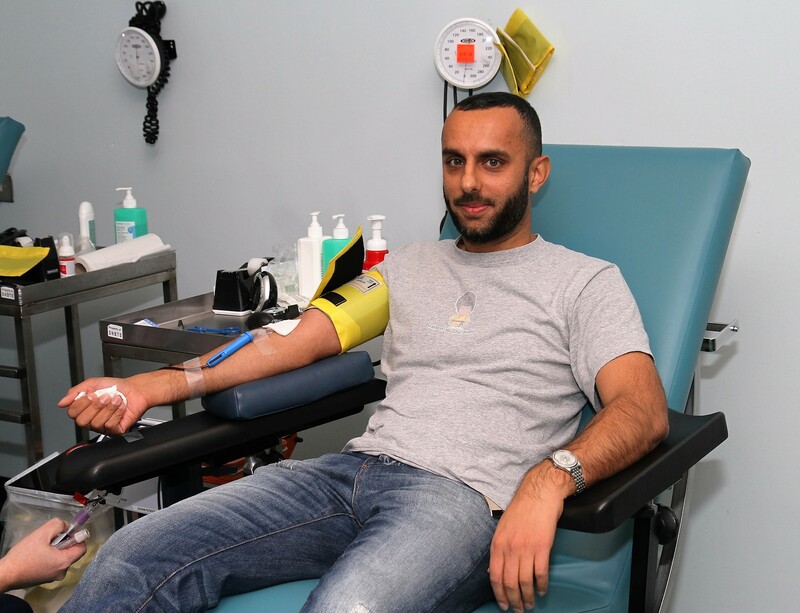 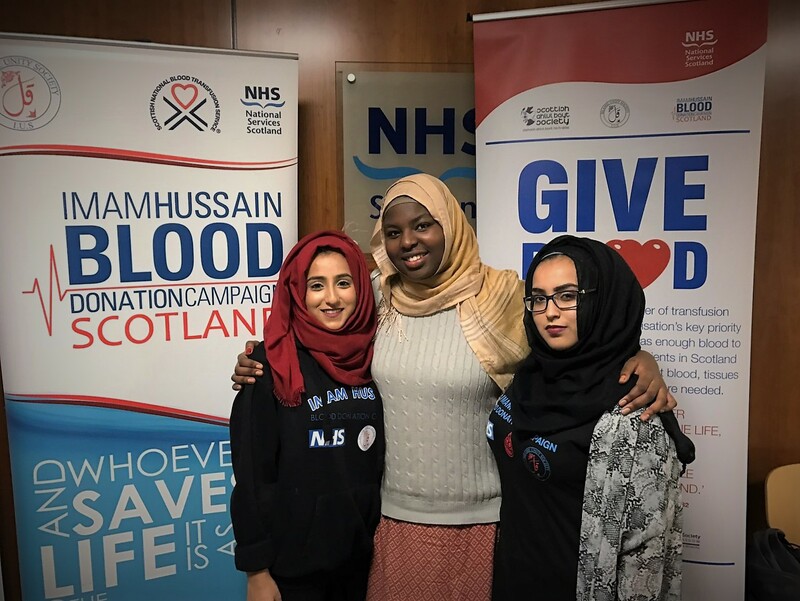 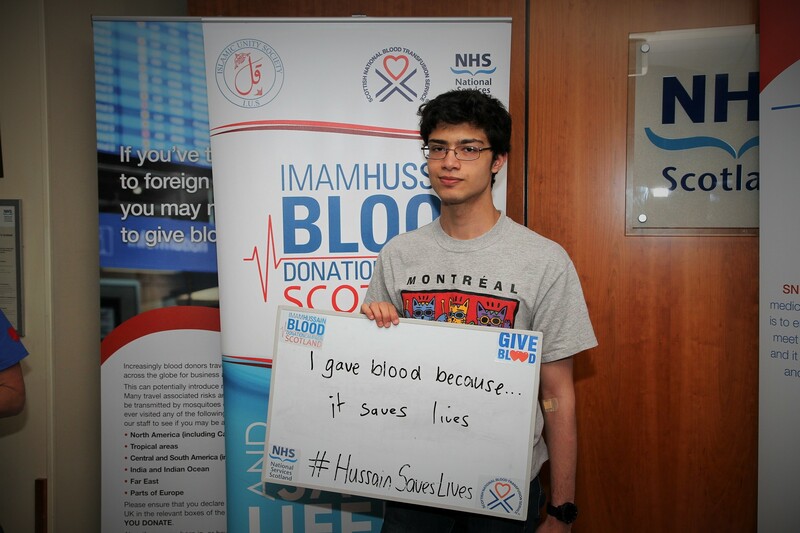 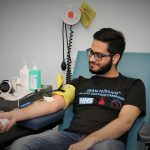 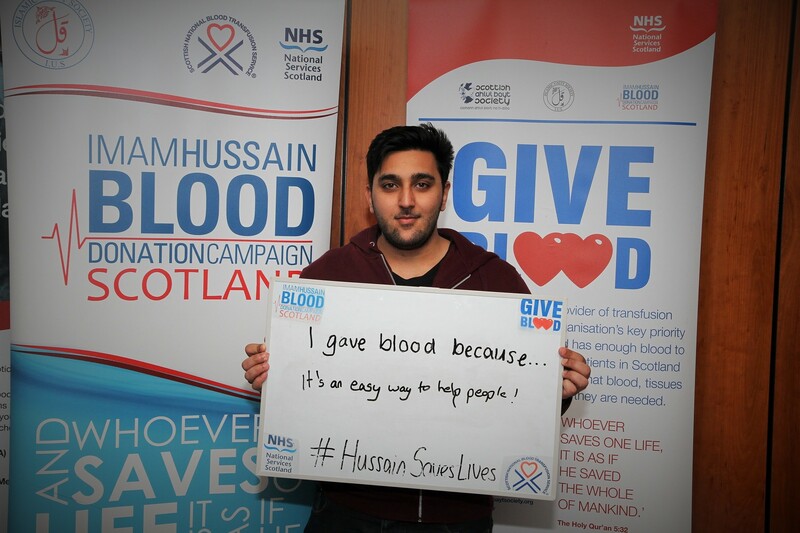 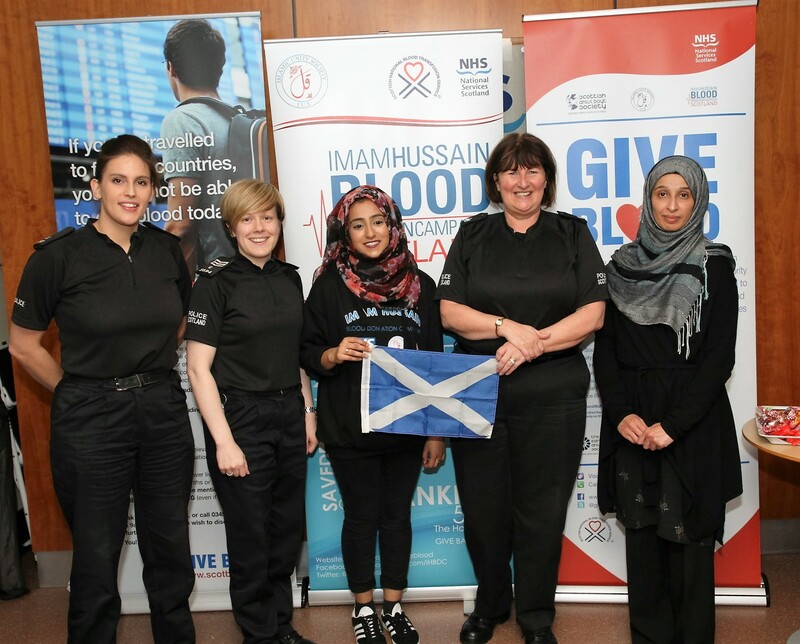 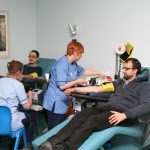 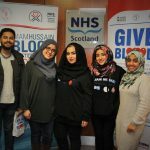 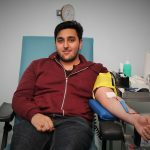 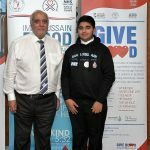 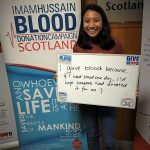 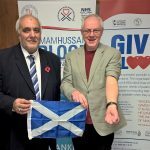 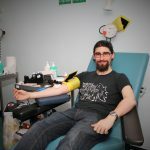 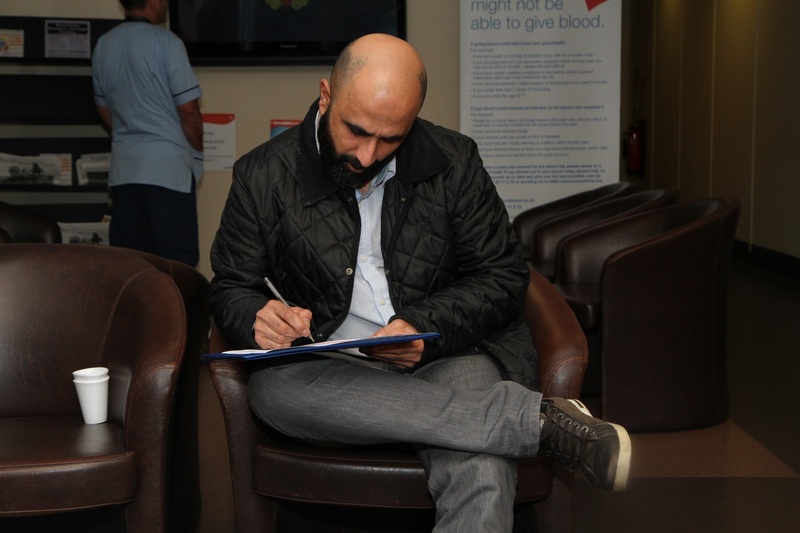 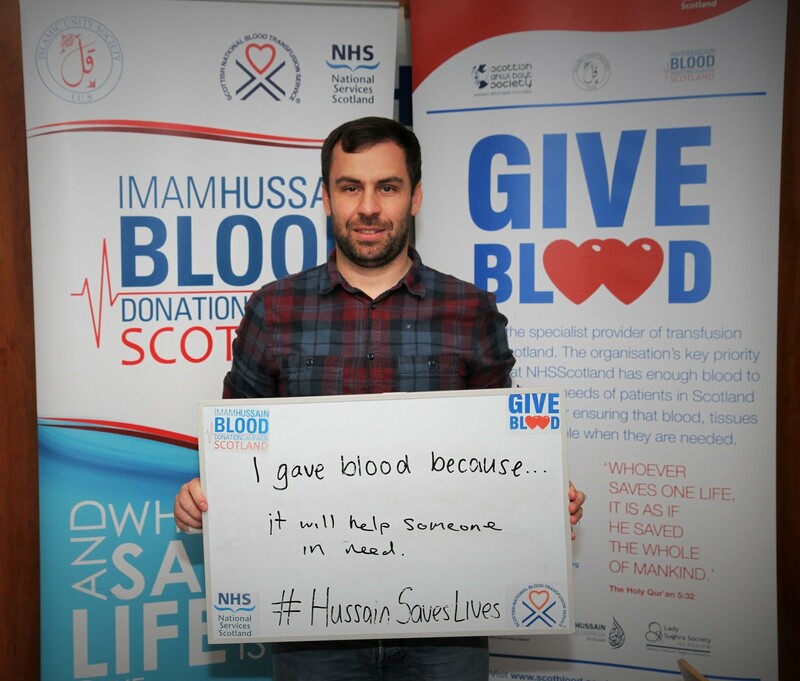 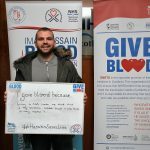 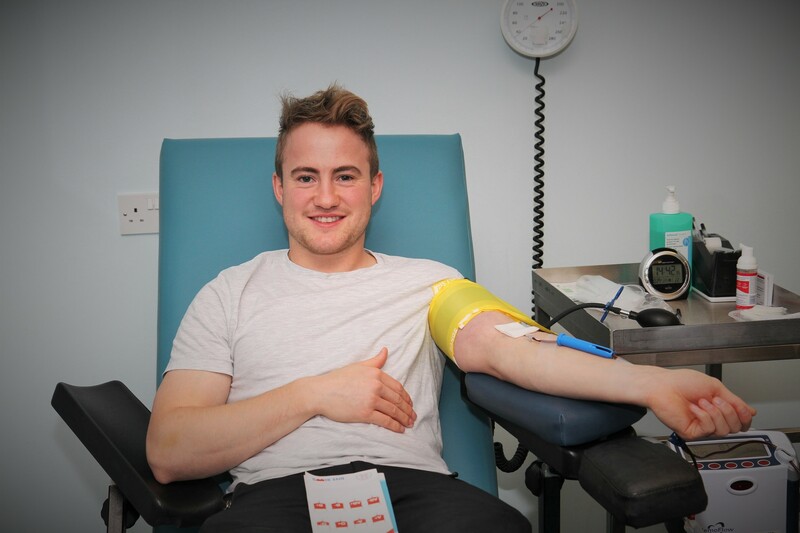 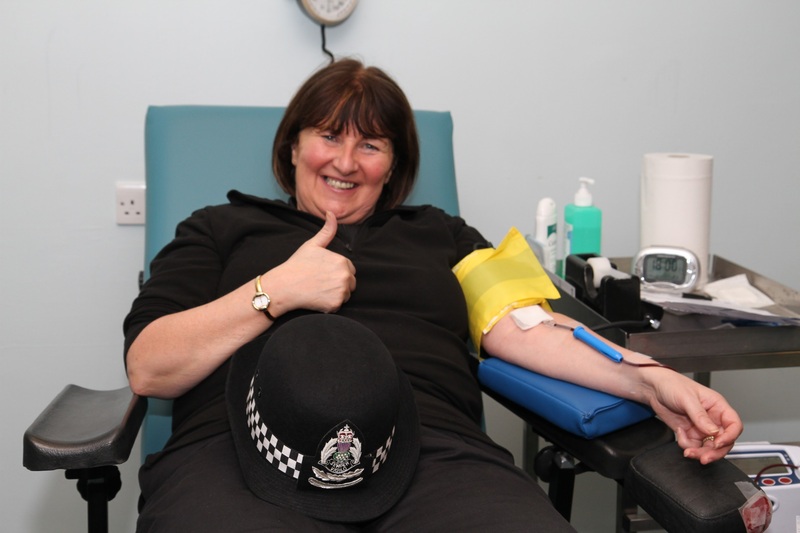 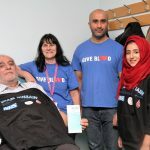 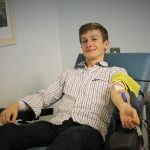 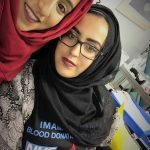 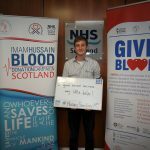 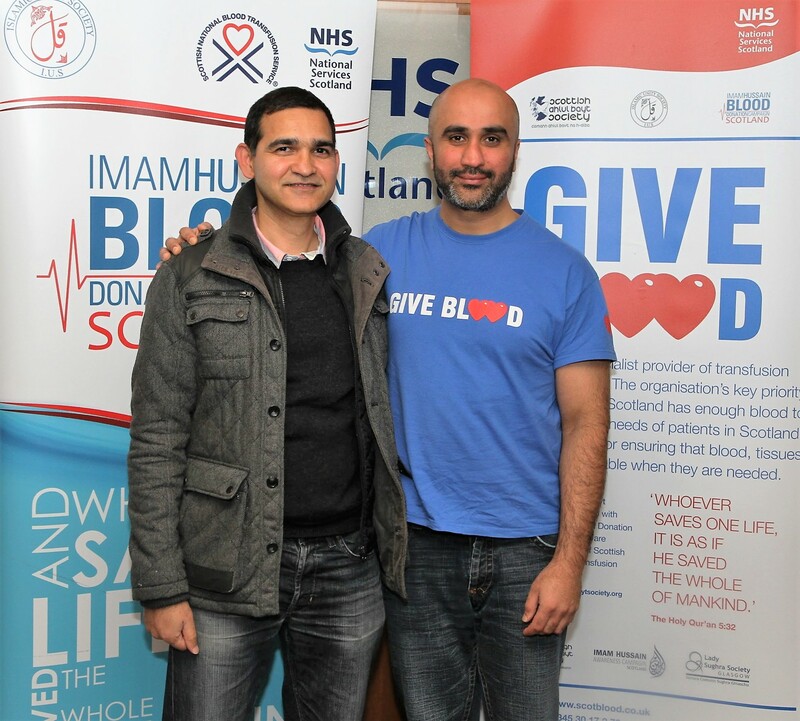 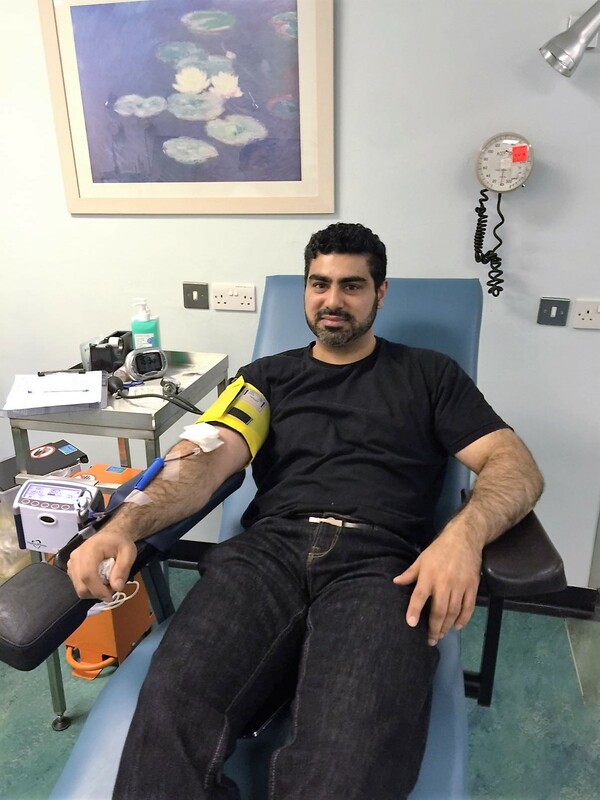 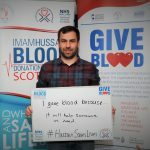 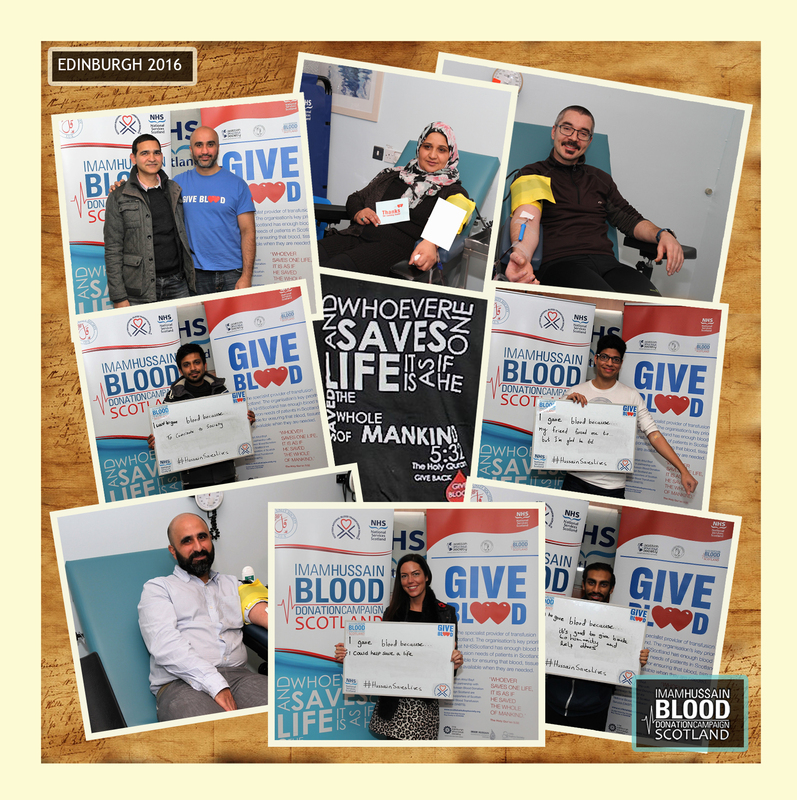 We would like to thank and applaud all those who donated blood as part of Edinburgh’s blood drives organised by ourselves in partnership with the Scottish National Blood Transfusion Service (SNBTS) and Imam Hussain Blood Donation Campaign (IHBDC). 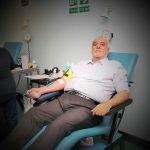 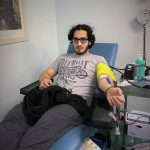 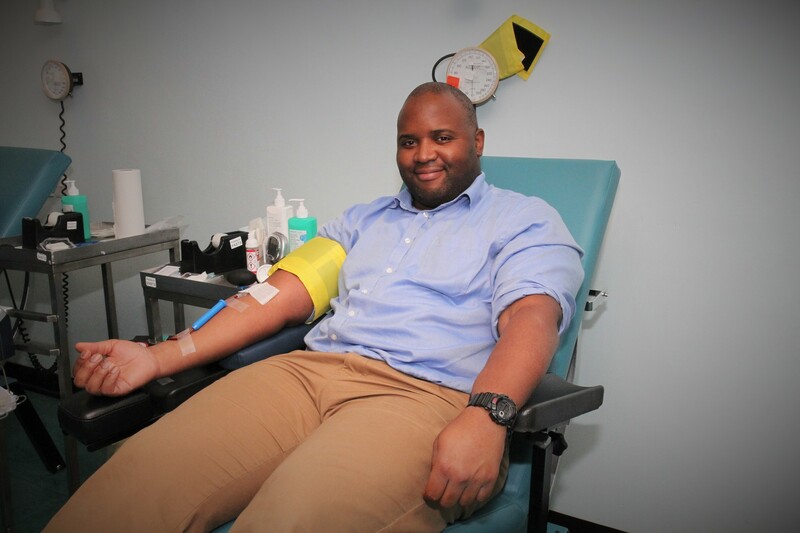 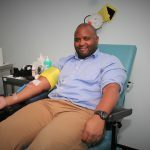 God Bless you all for each of you have selflessly played a monumental role in the lives of multiple people; and we urge that everyone continue to donate blood and persist in the act of generosity. 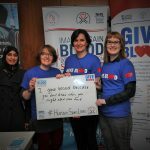 Like to also thank the SNBTS team – especially Lynne Willdigg (Head of Donor Services, SNBTS), Jennifer Wilson (National Publicity Manager), Frances Steel (Donor Recruiter) plus the nurses at the Donor centre and head office for their tremendous amount of effort they continuously put in so as to deliver this life saving service, and we commend them for all the selfless work they have done thus far. 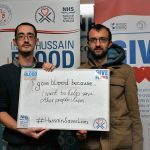 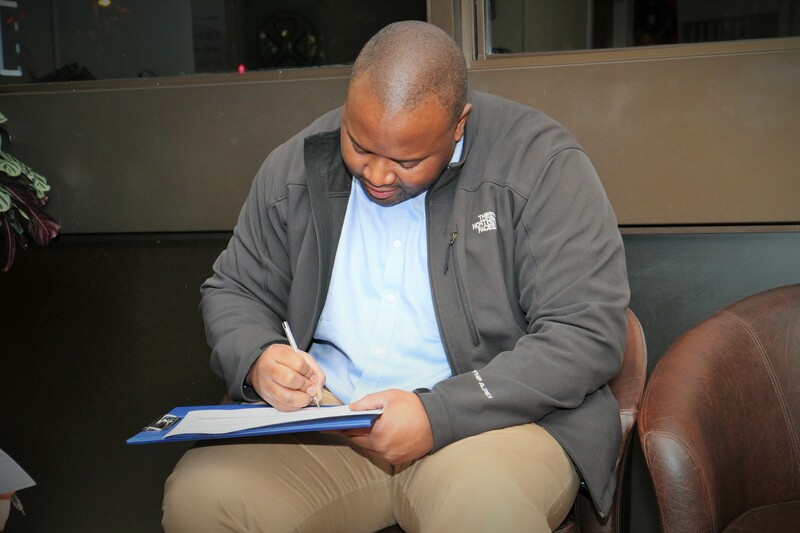 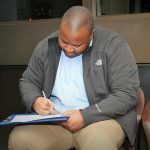 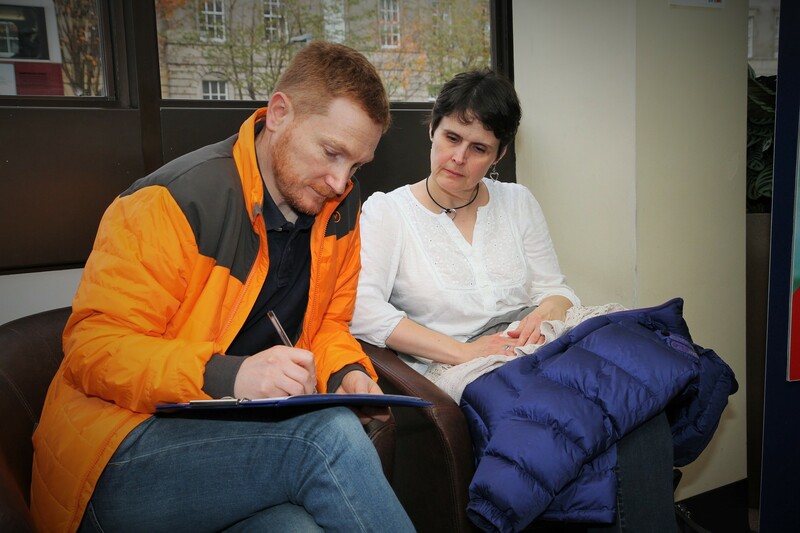 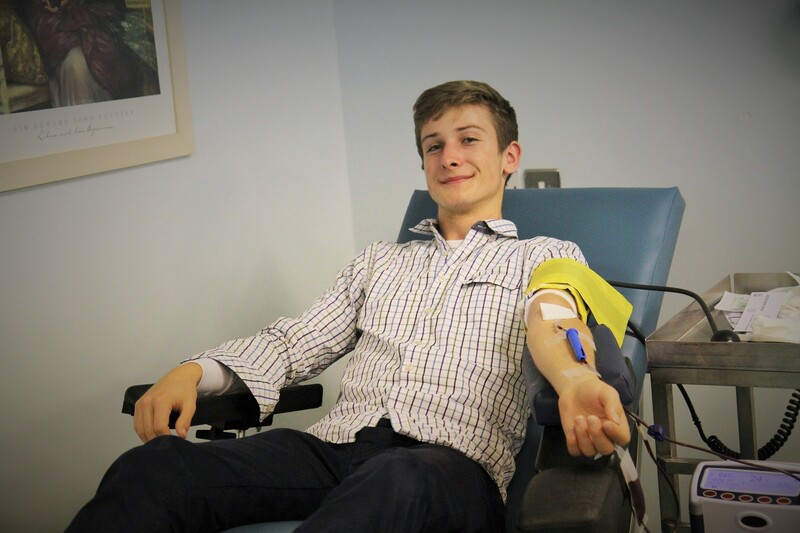 If you wish to still donate, you can do so by visiting the website below and signing up.